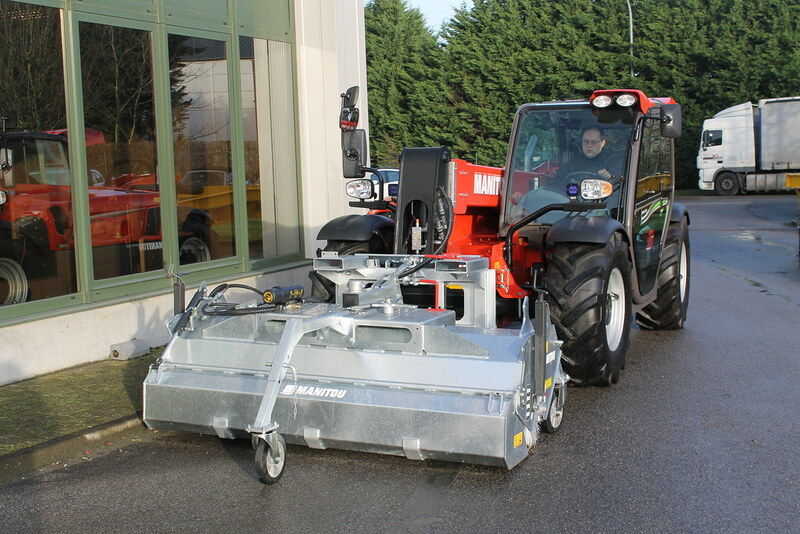 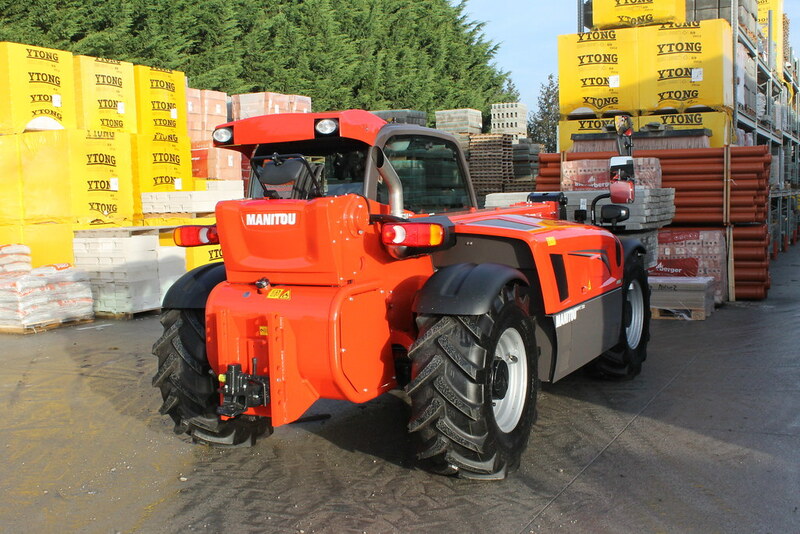 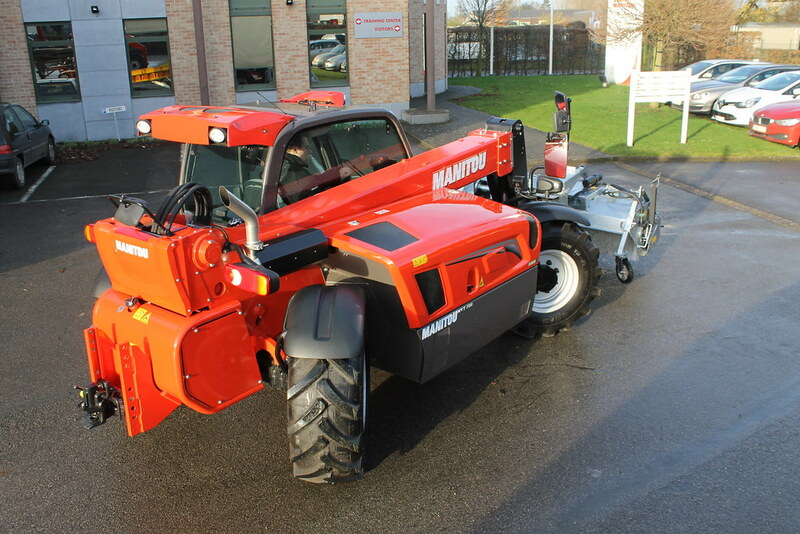 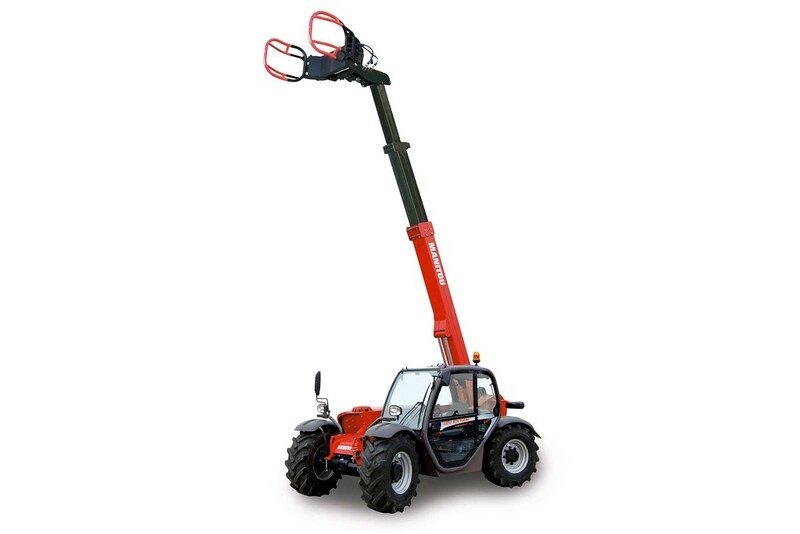 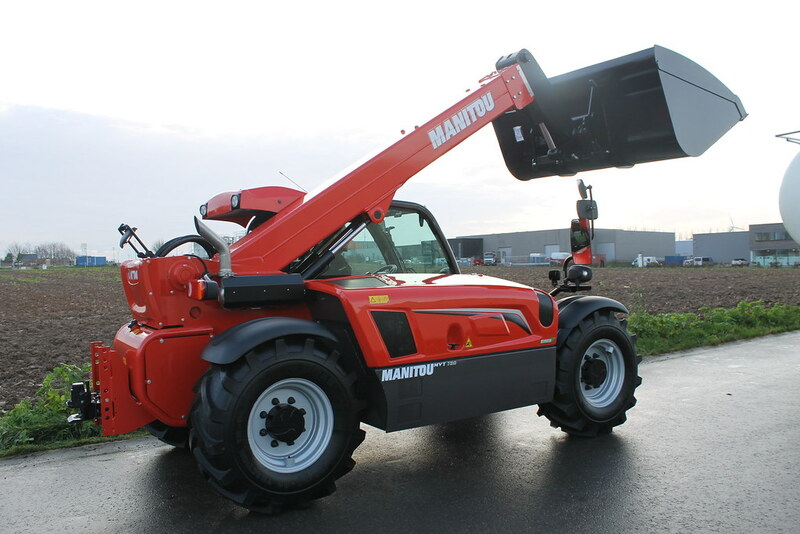 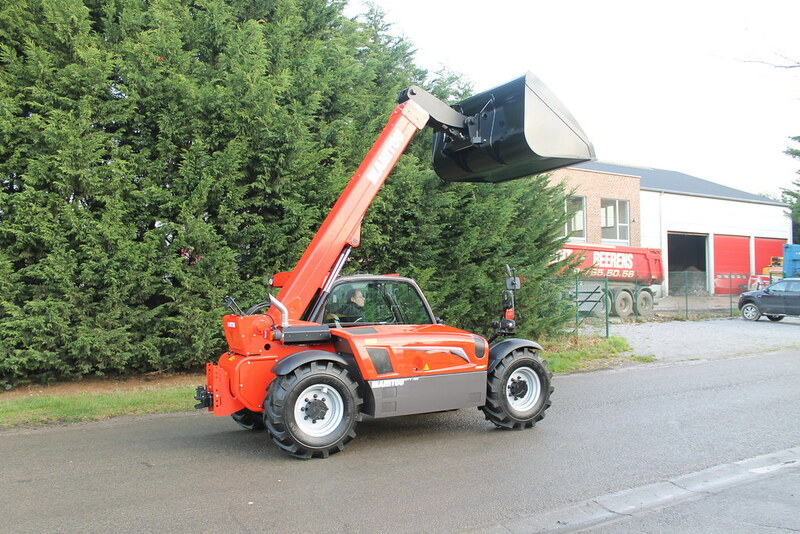 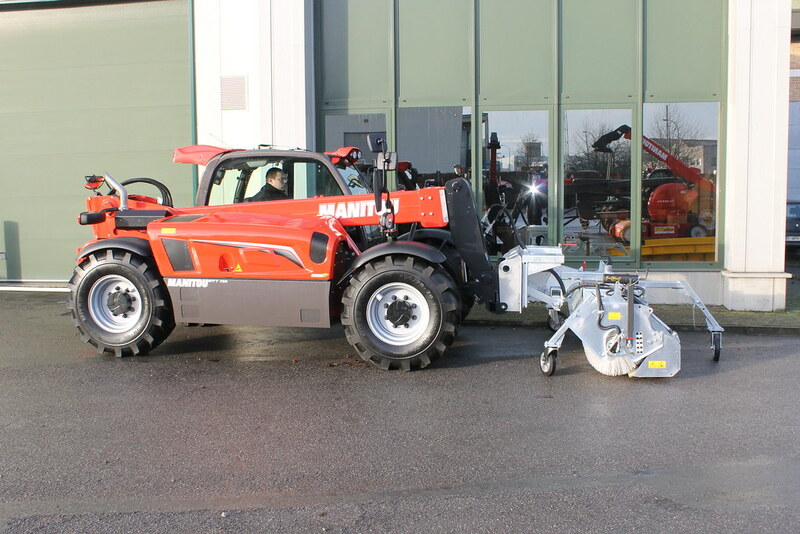 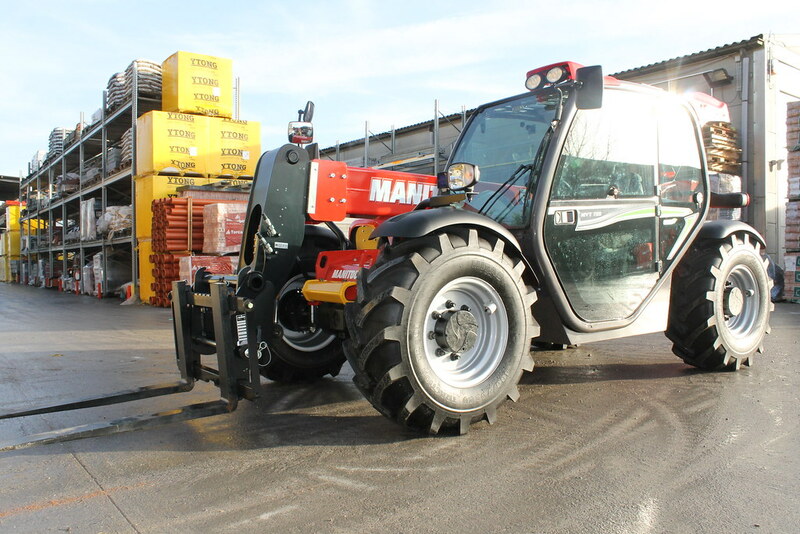 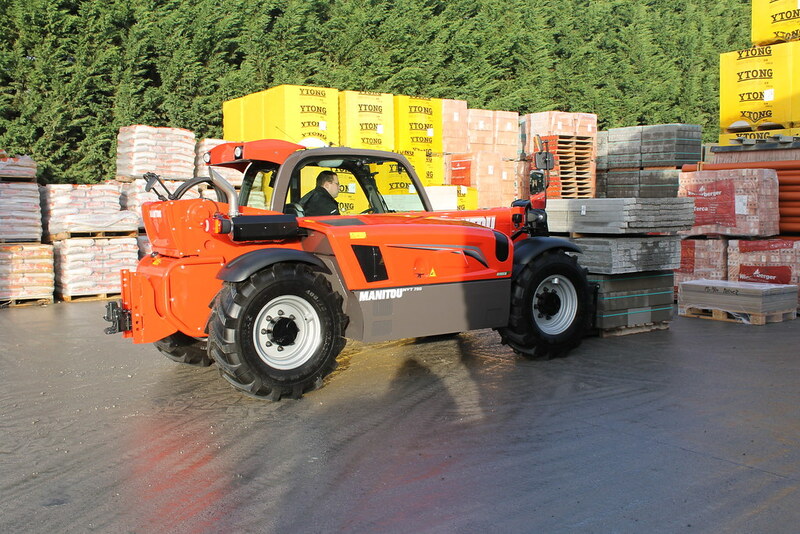 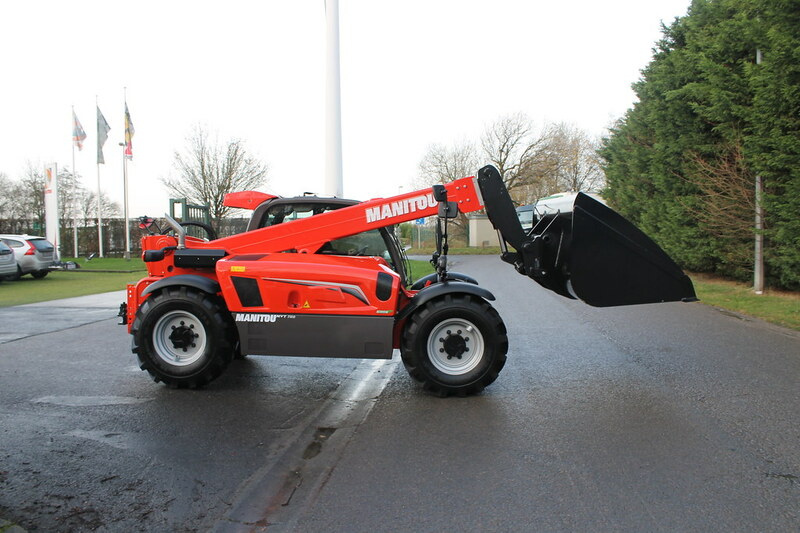 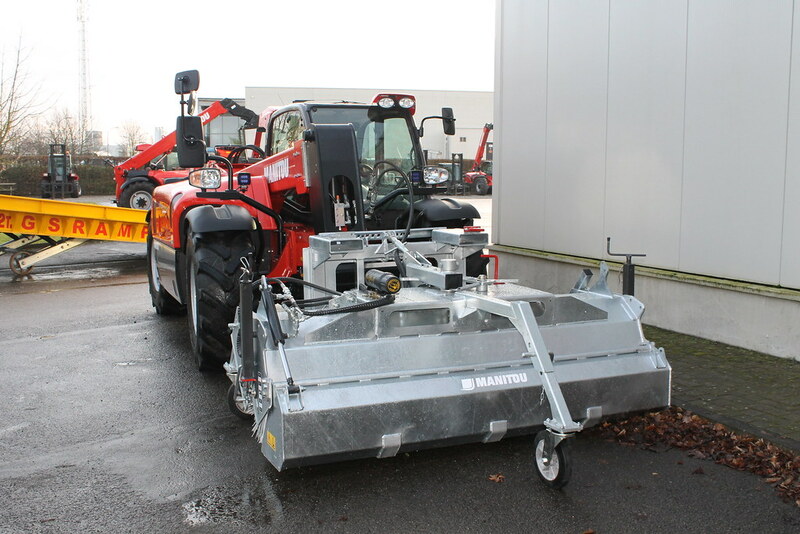 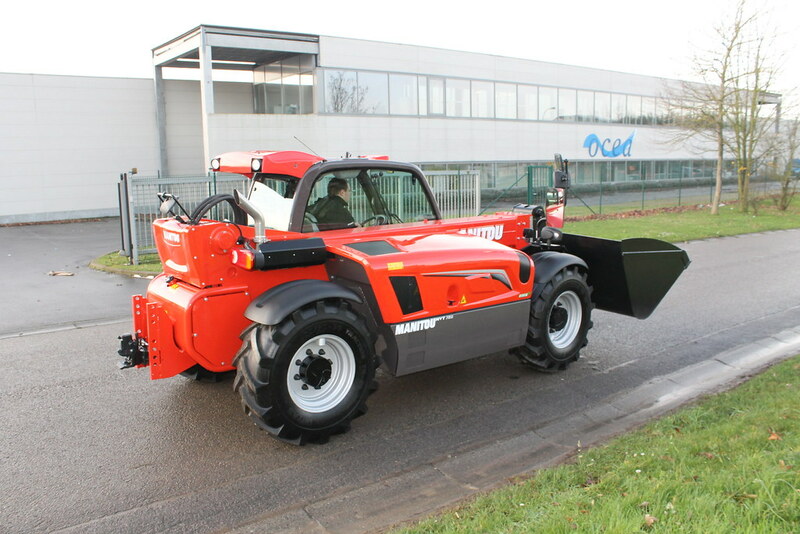 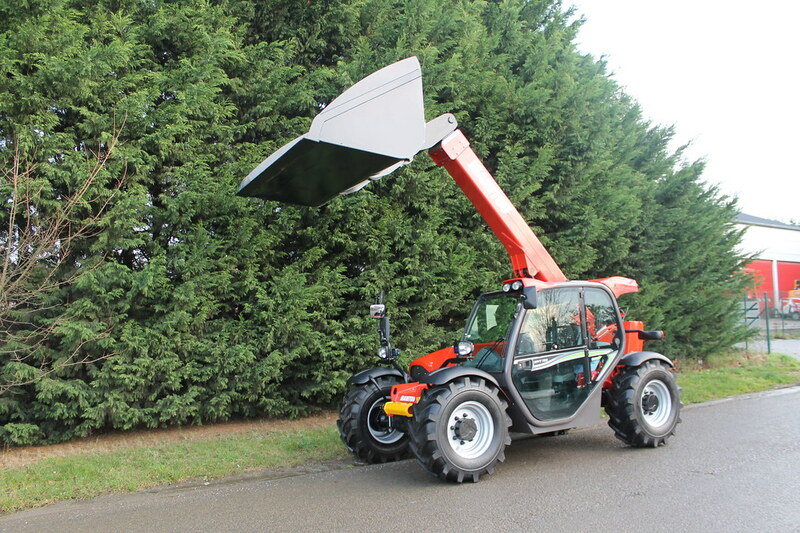 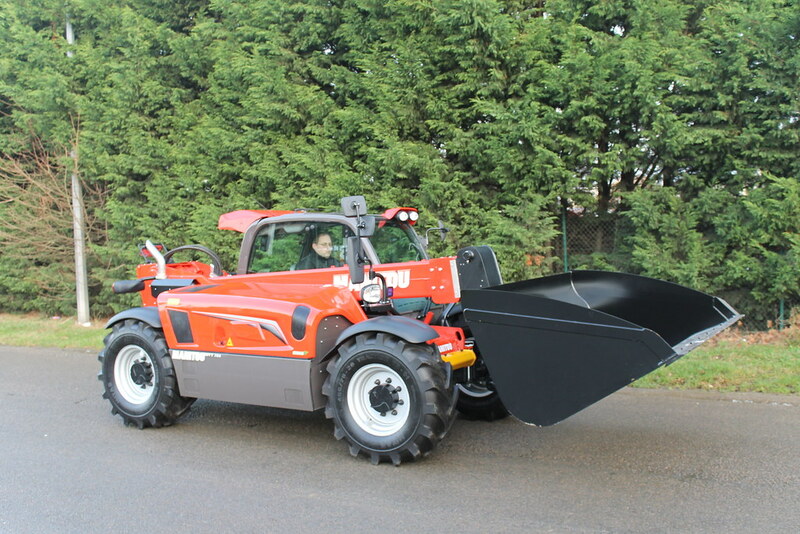 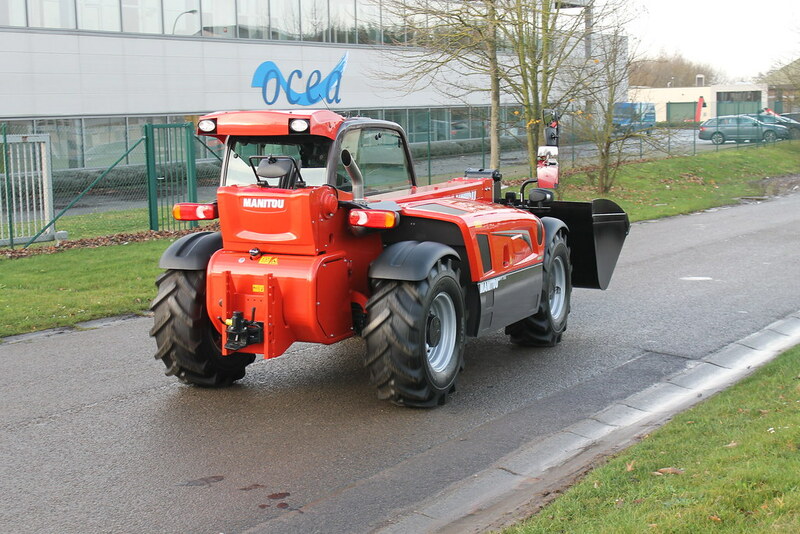 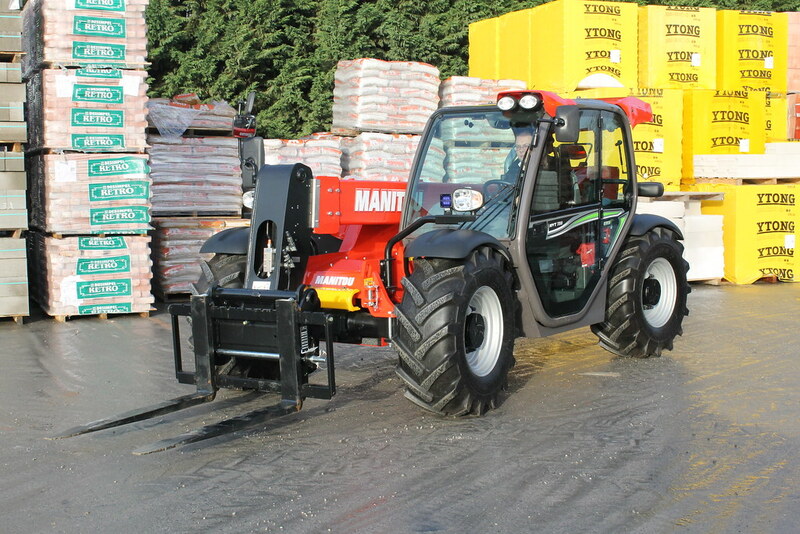 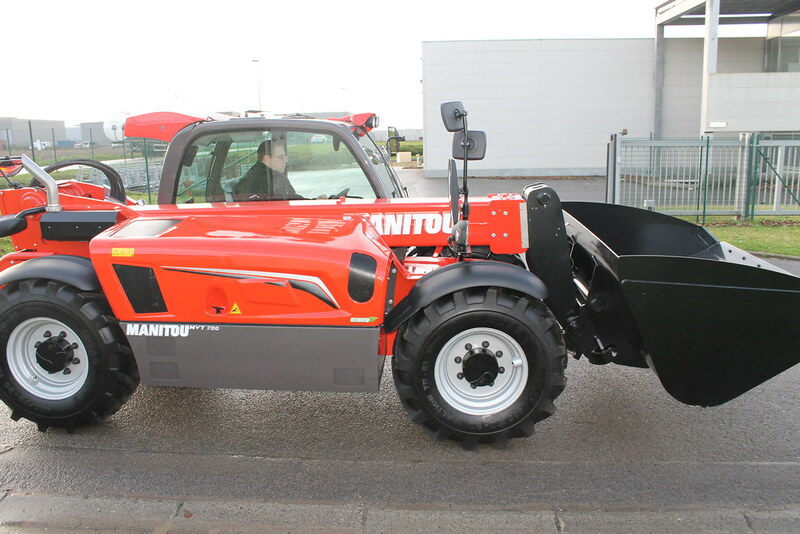 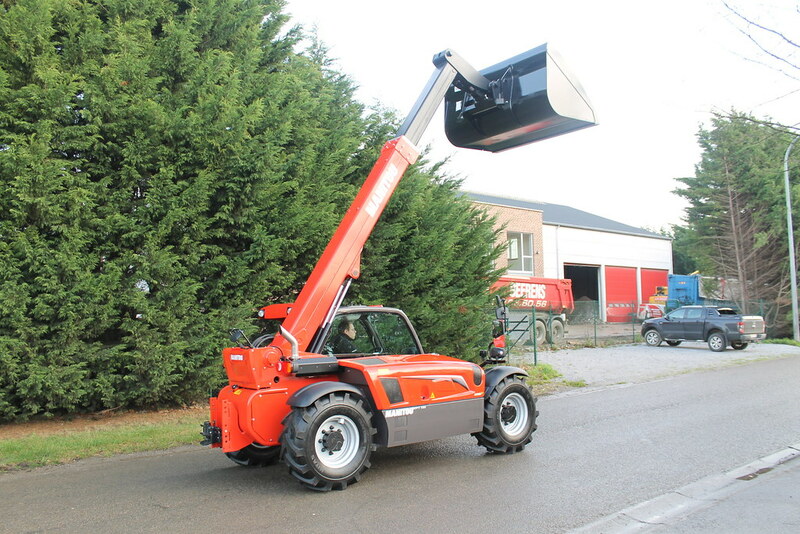 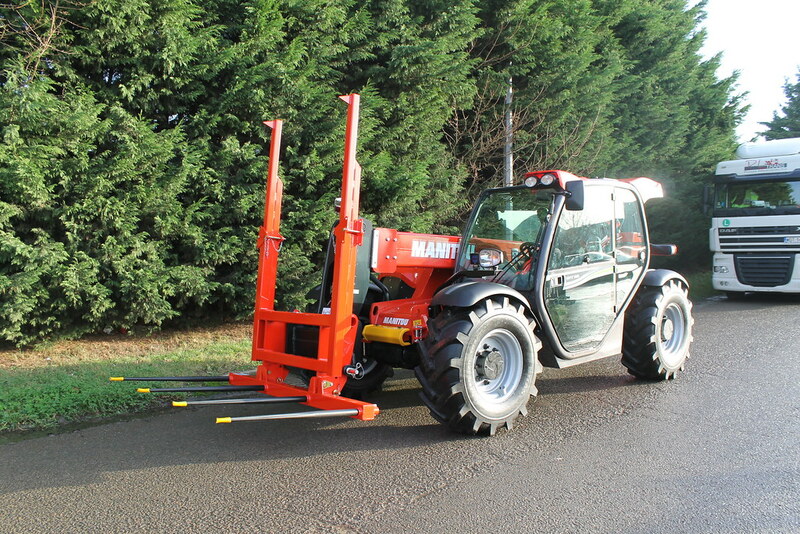 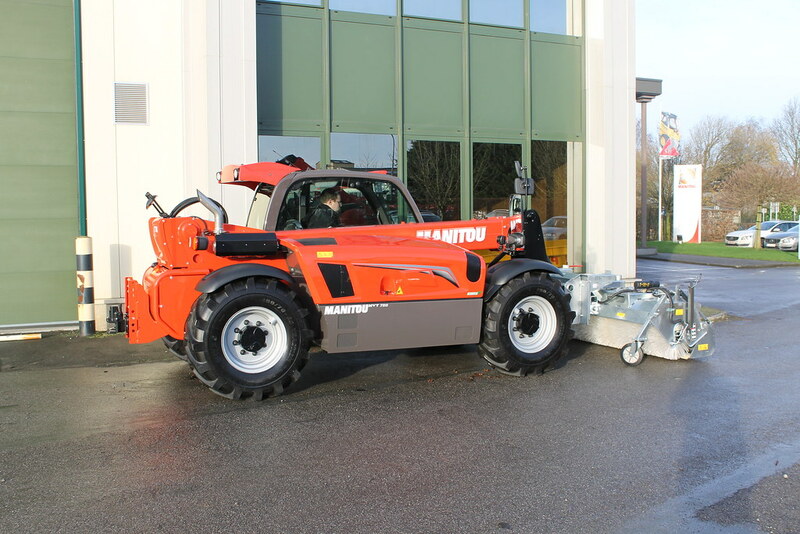 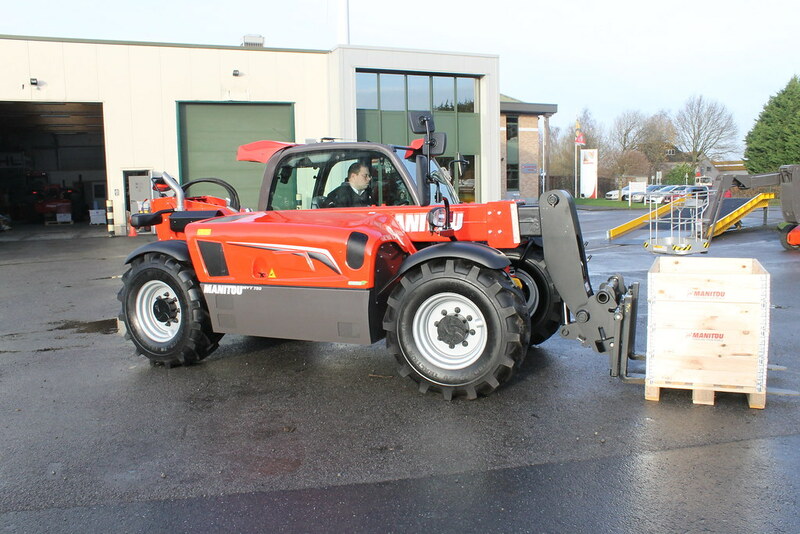 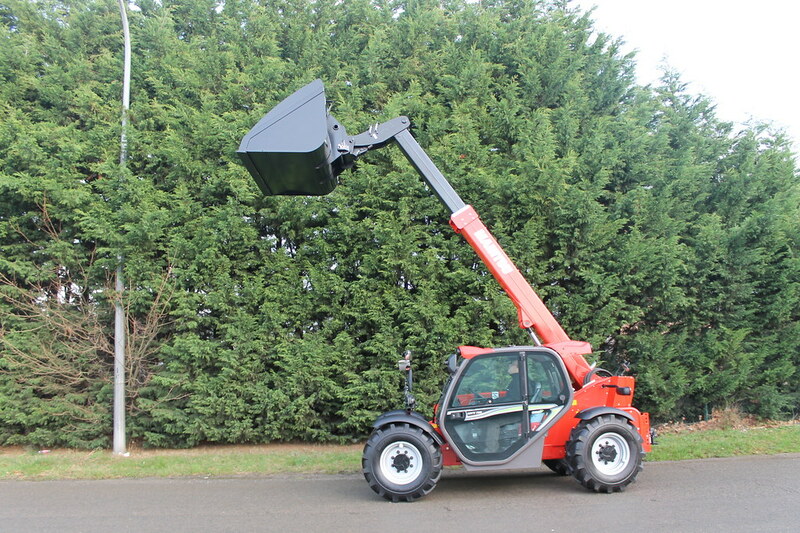 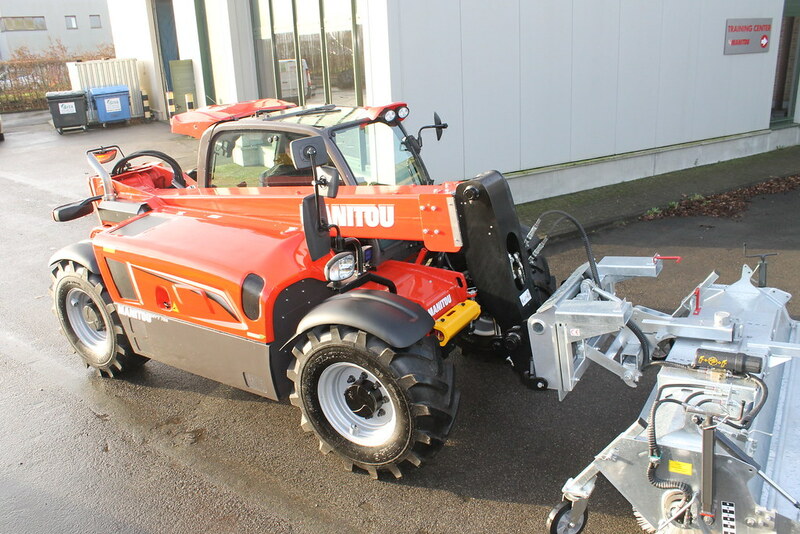 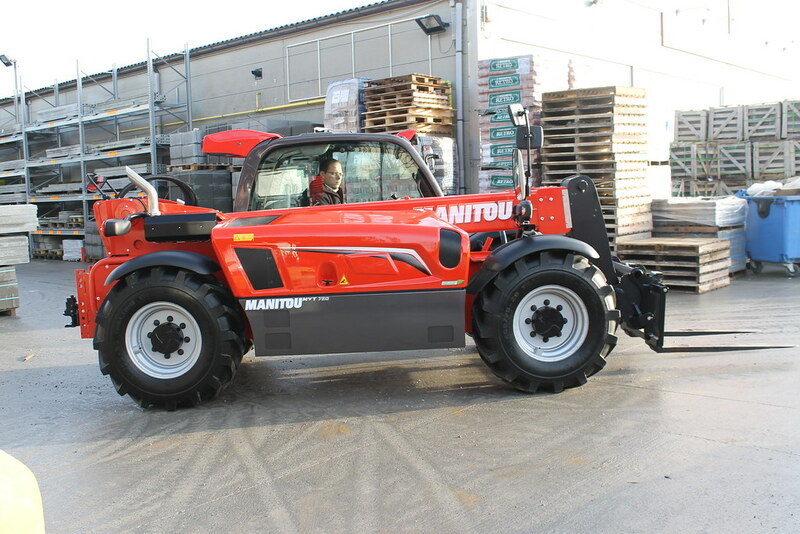 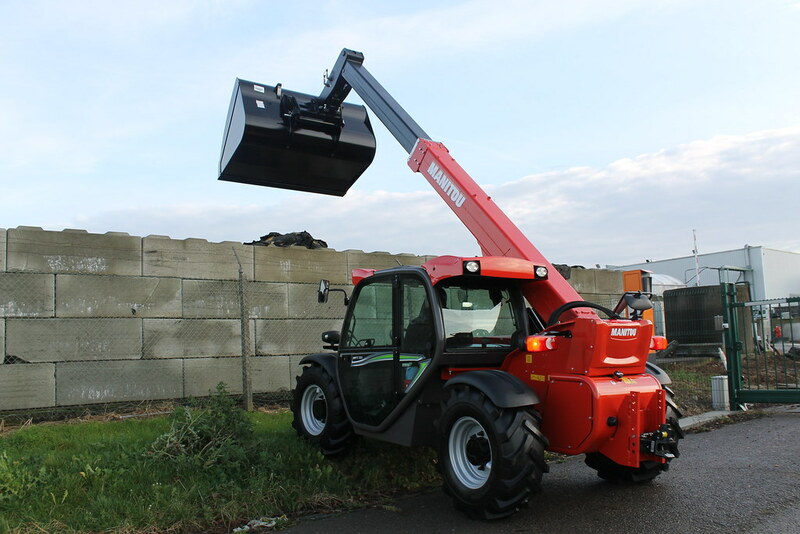 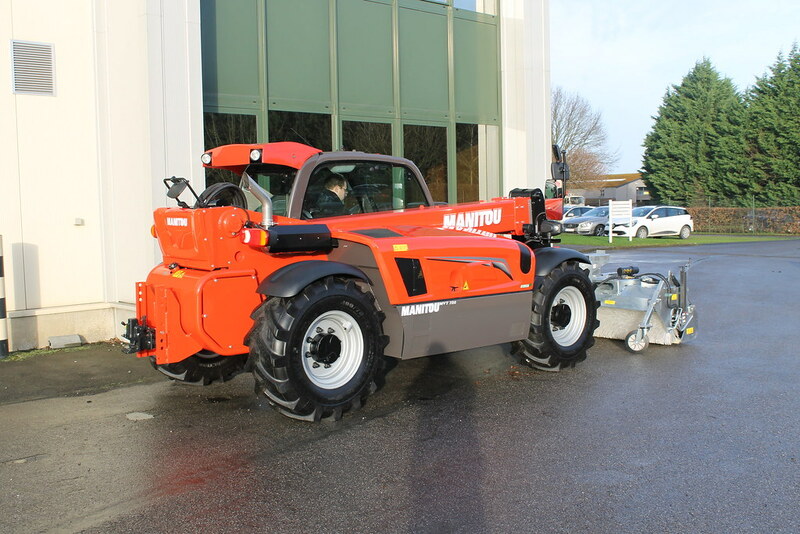 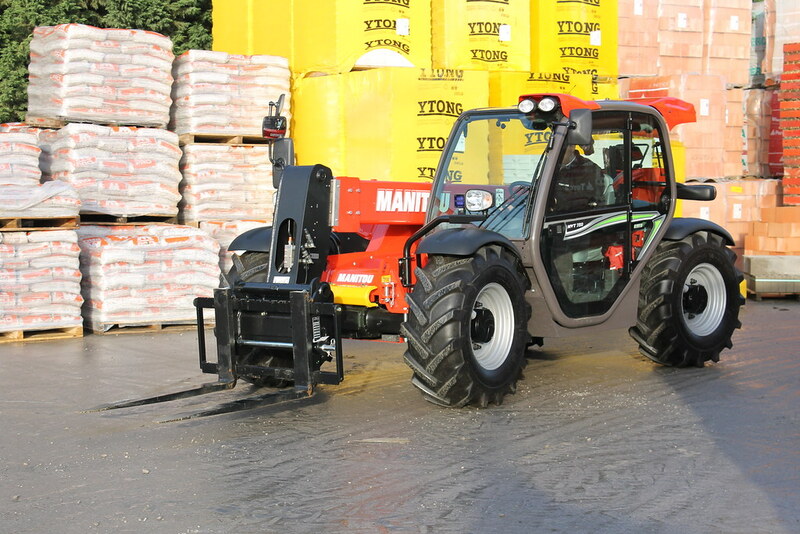 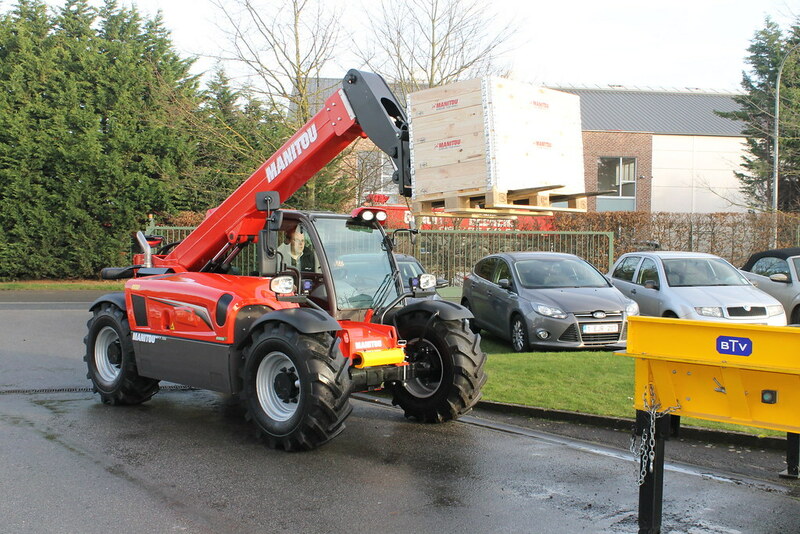 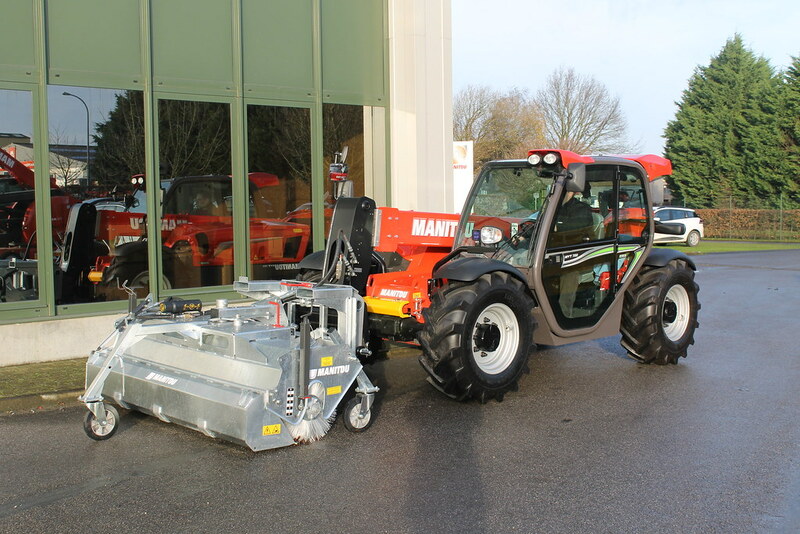 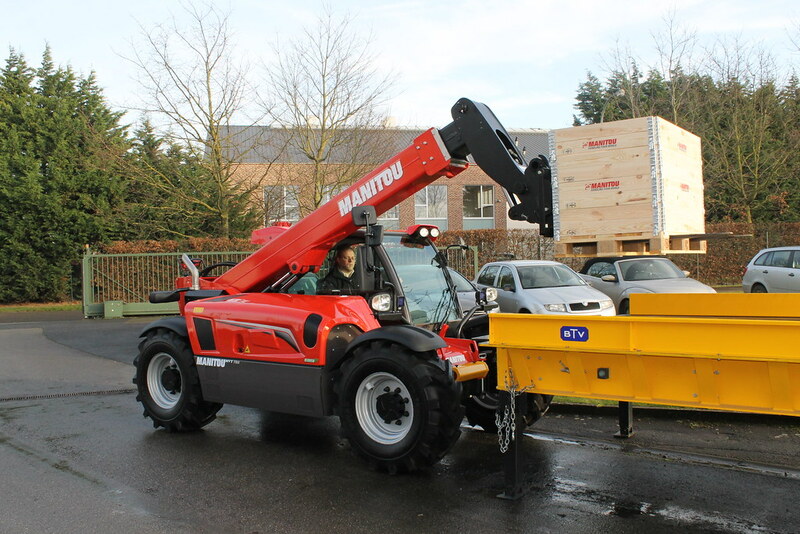 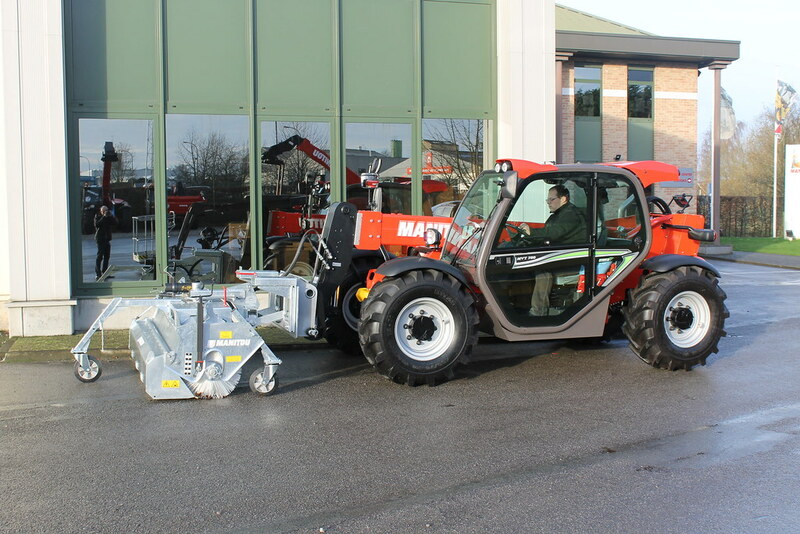 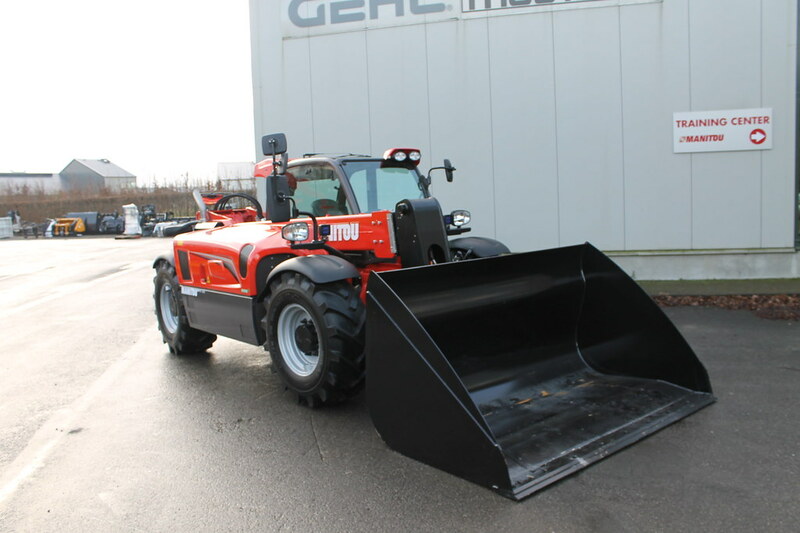 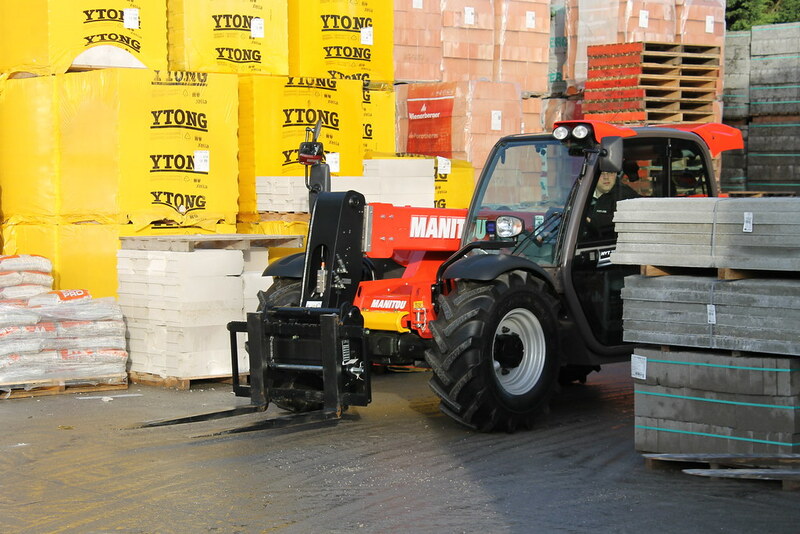 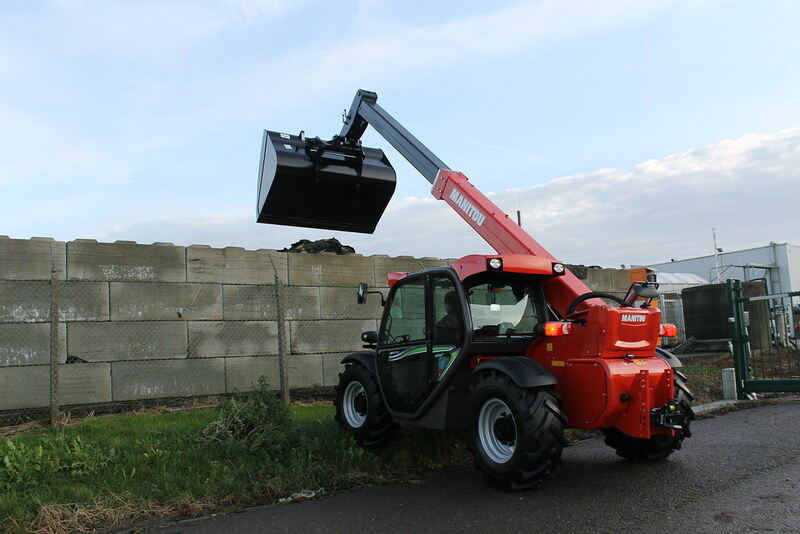 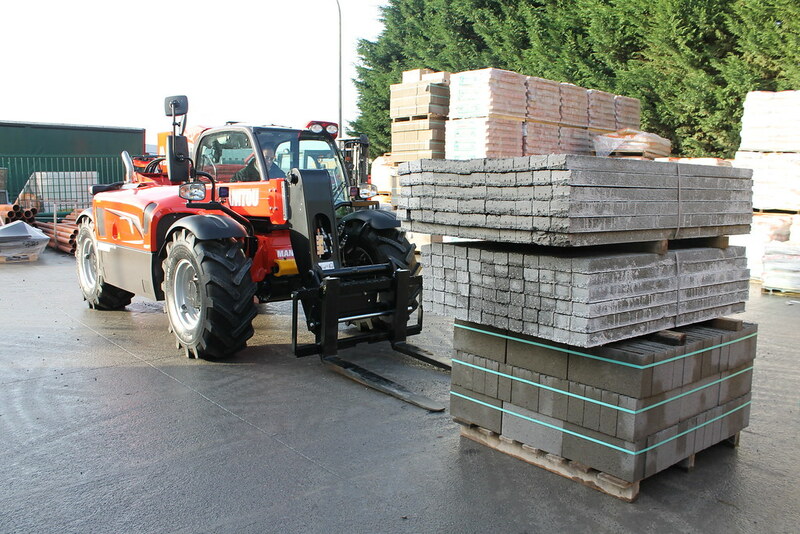 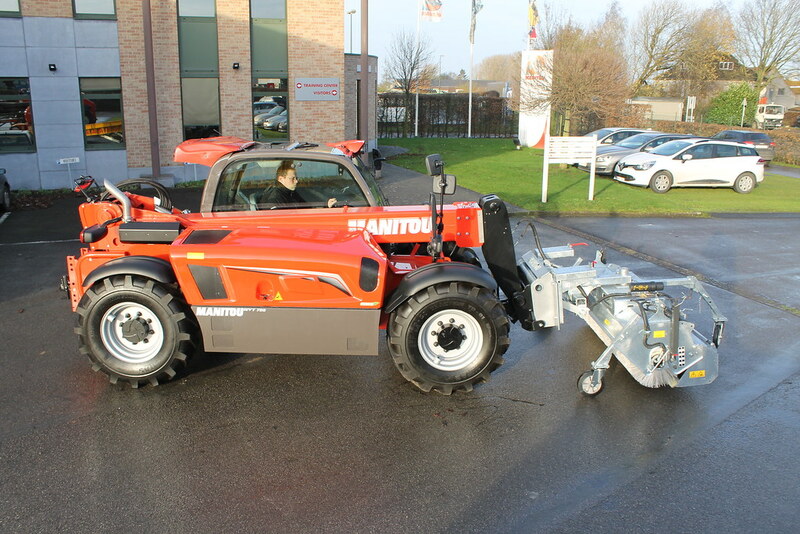 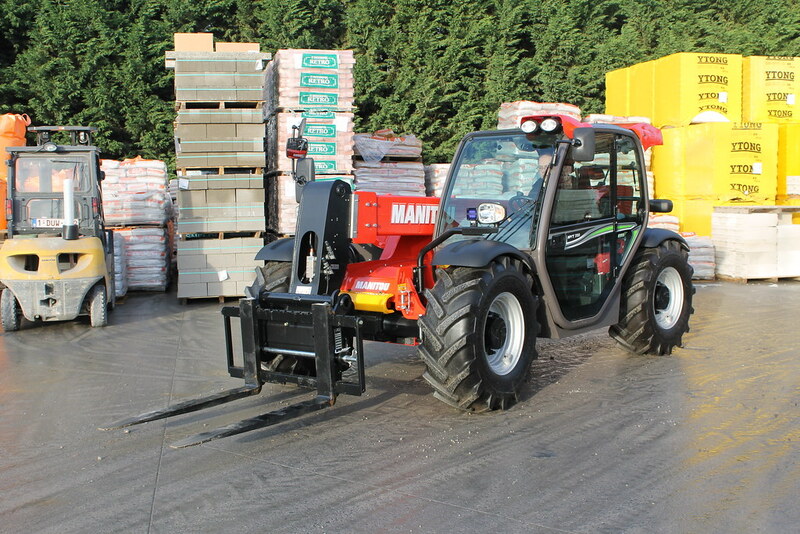 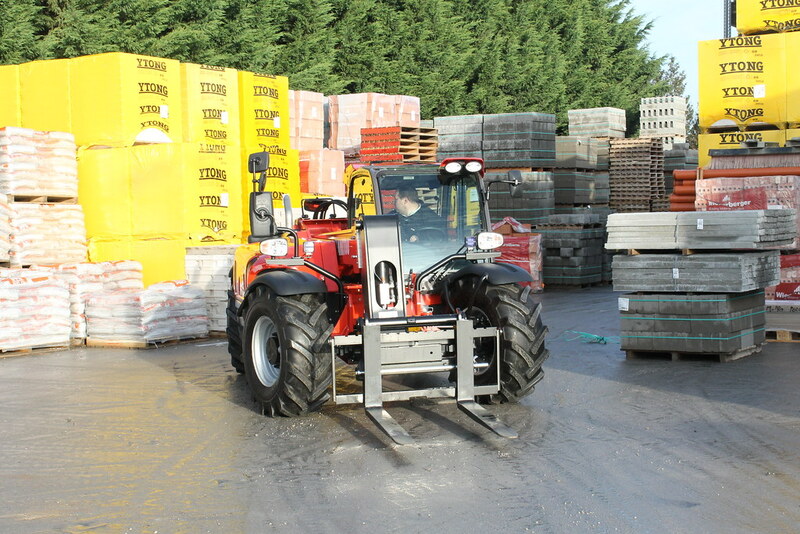 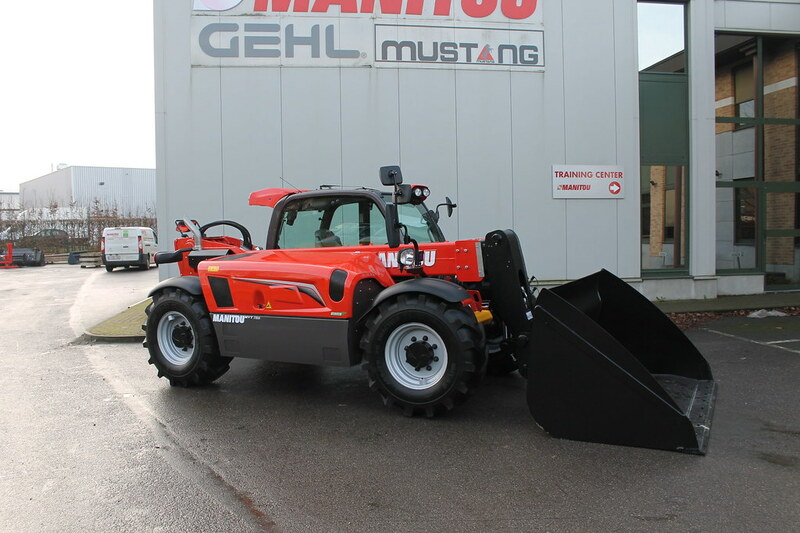 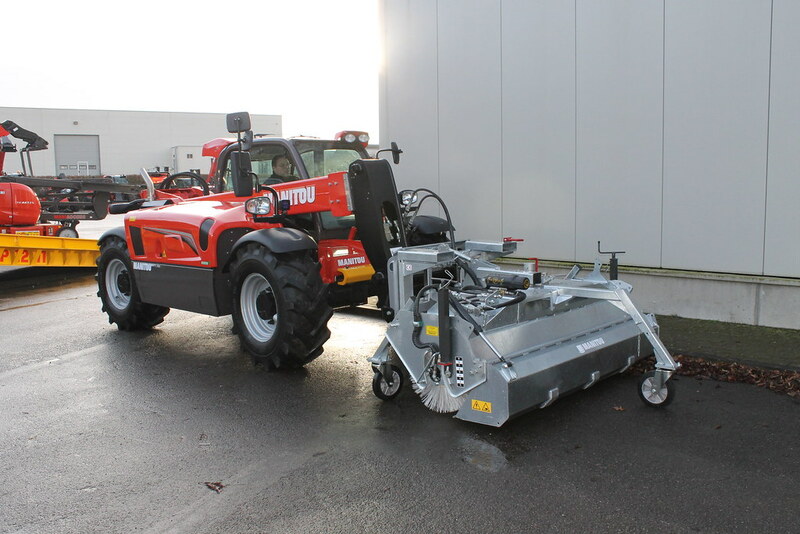 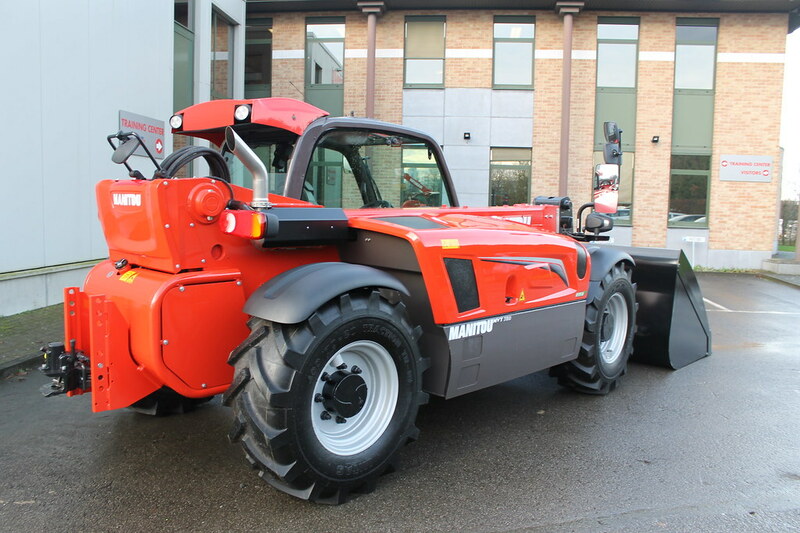 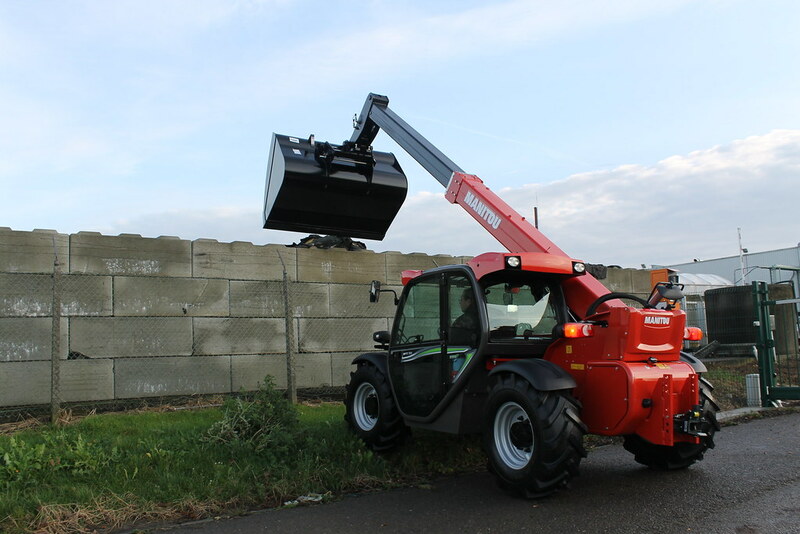 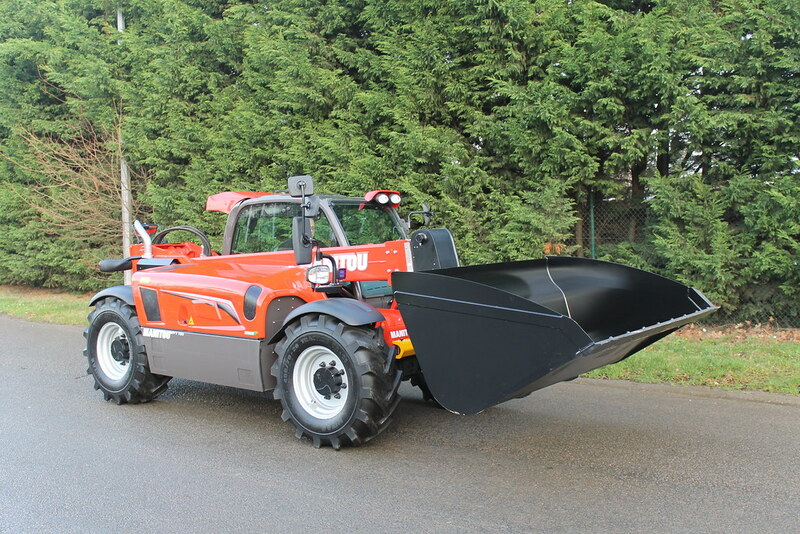 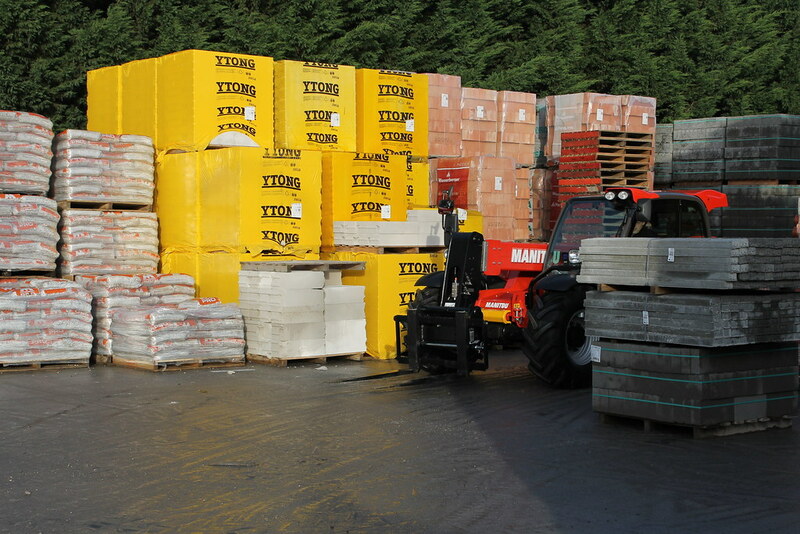 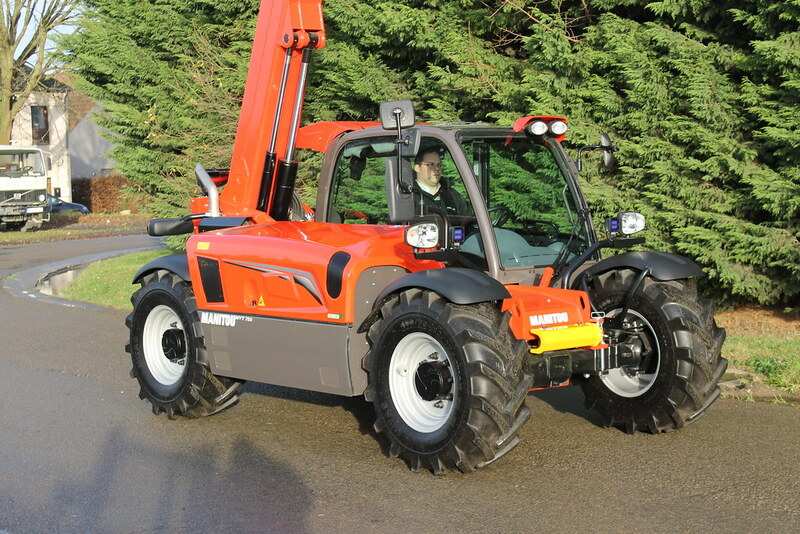 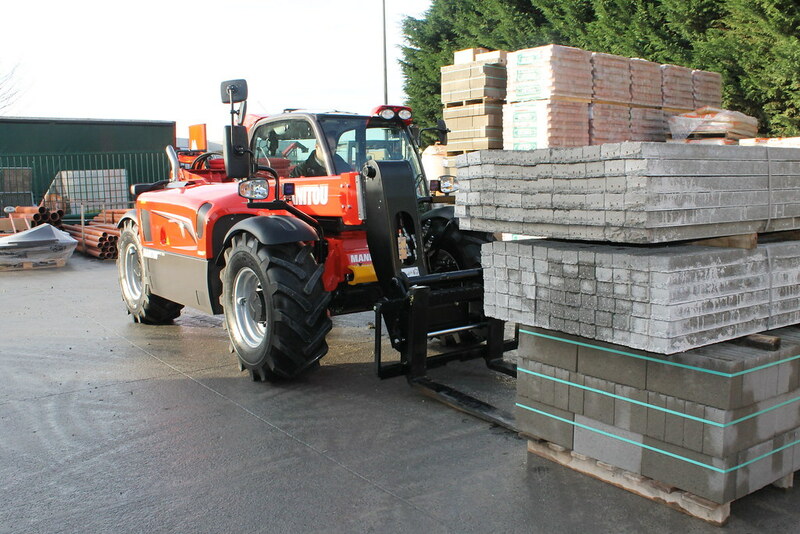 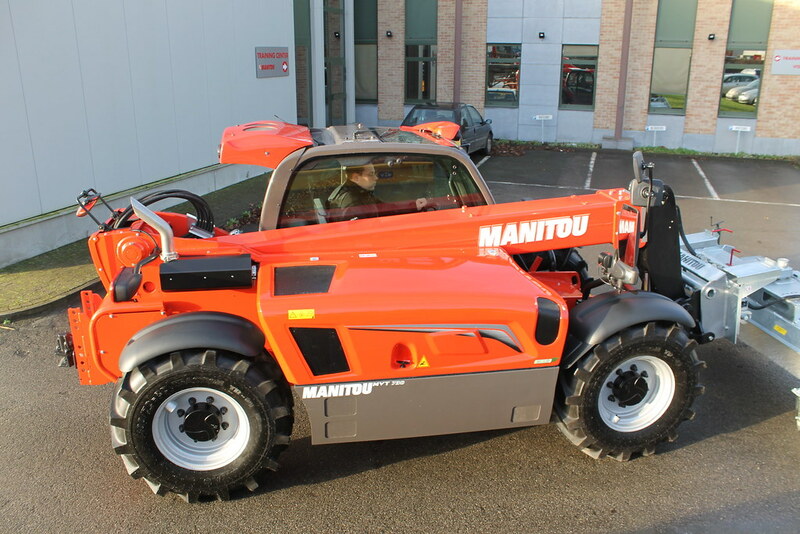 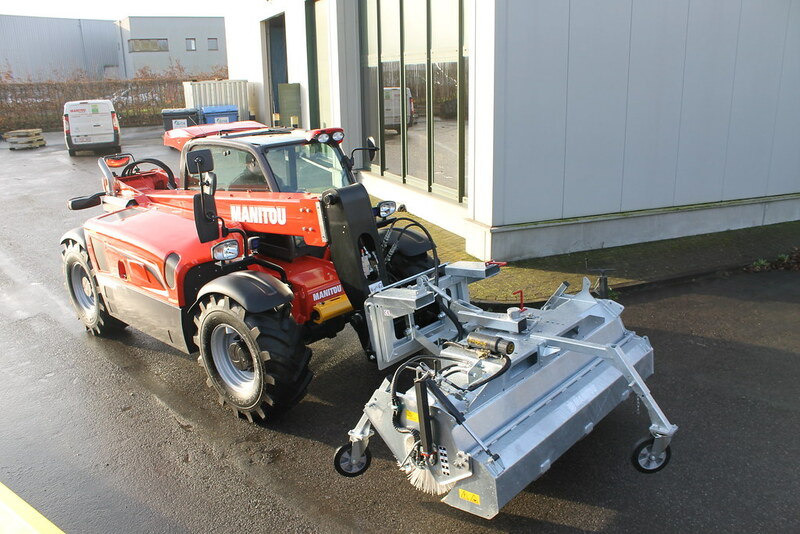 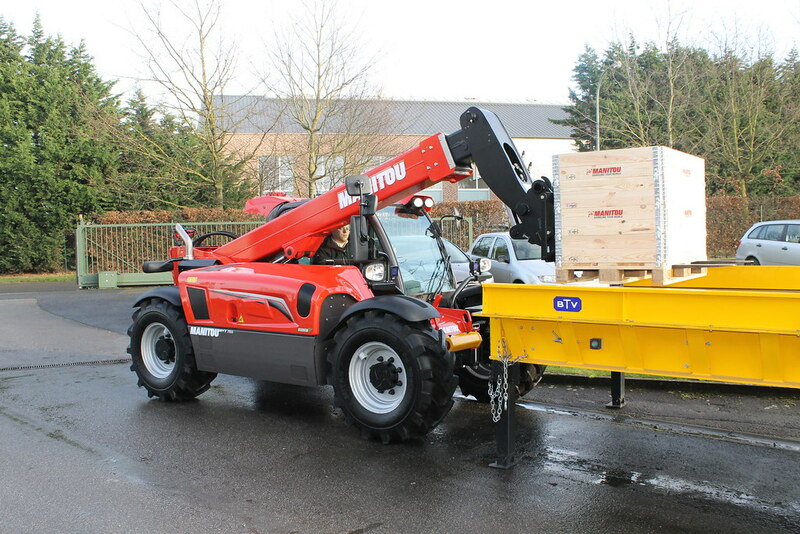 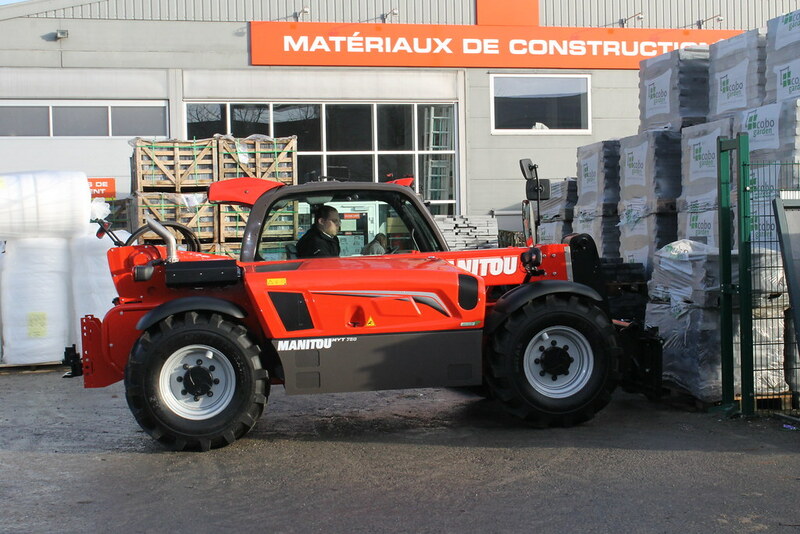 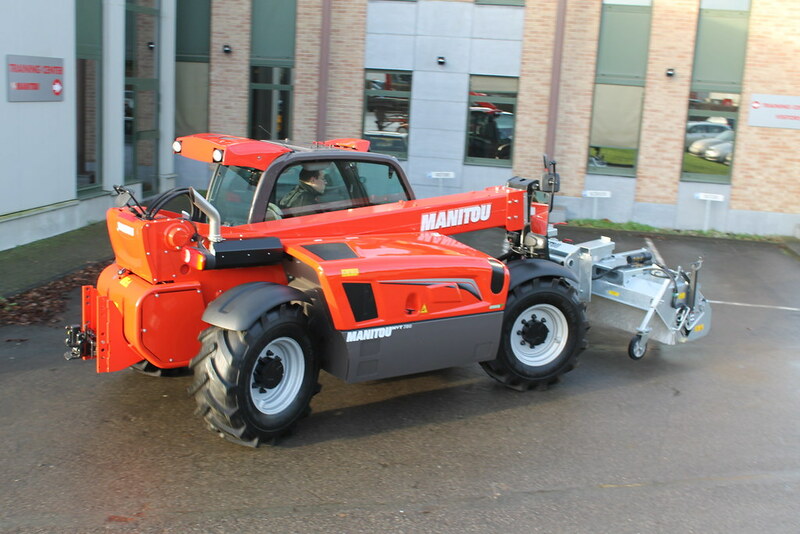 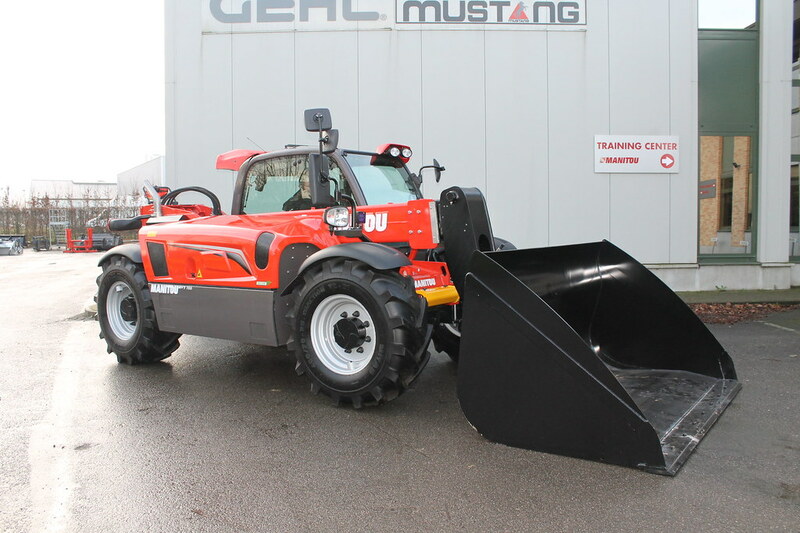 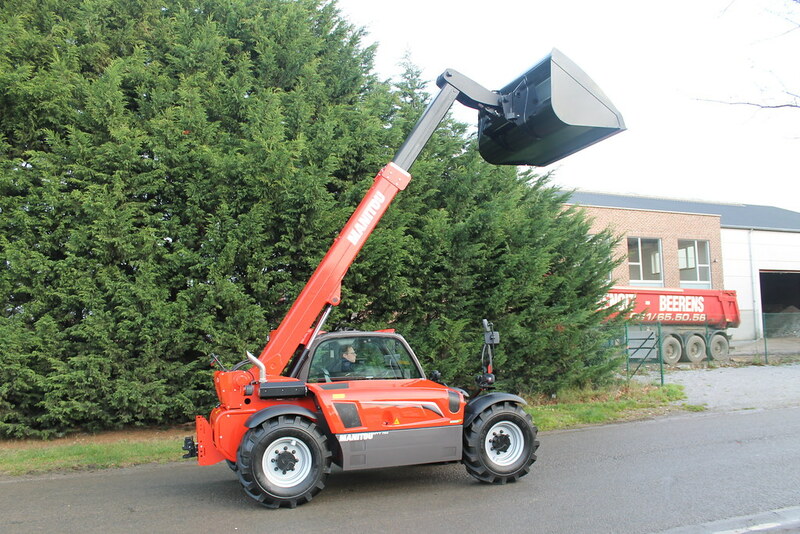 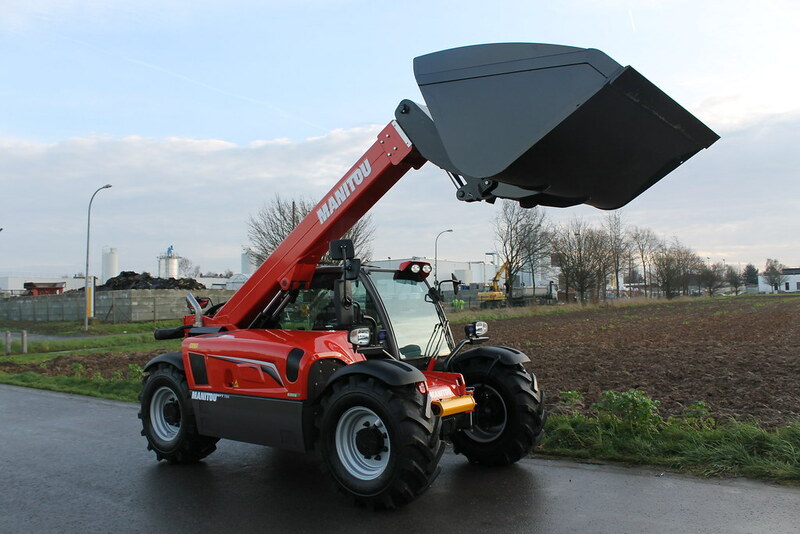 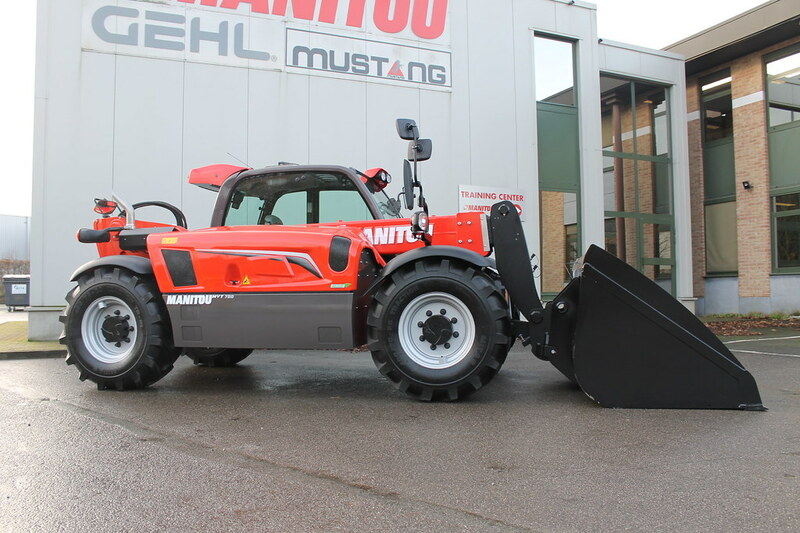 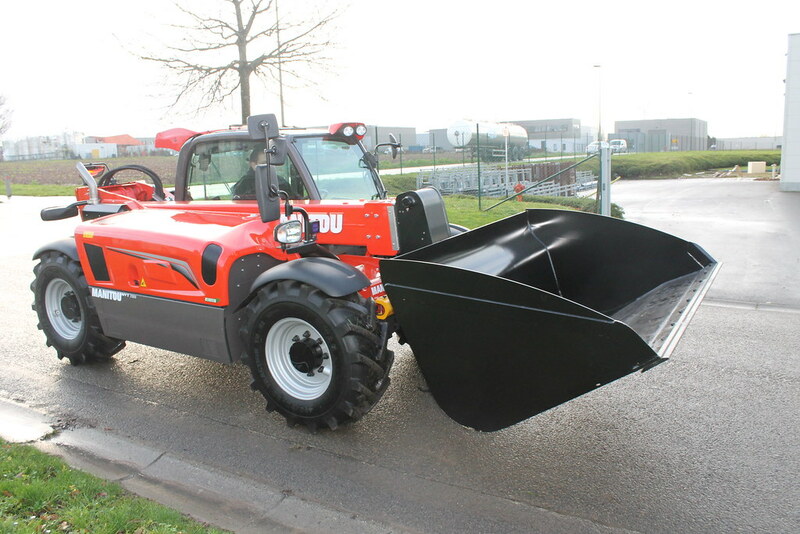 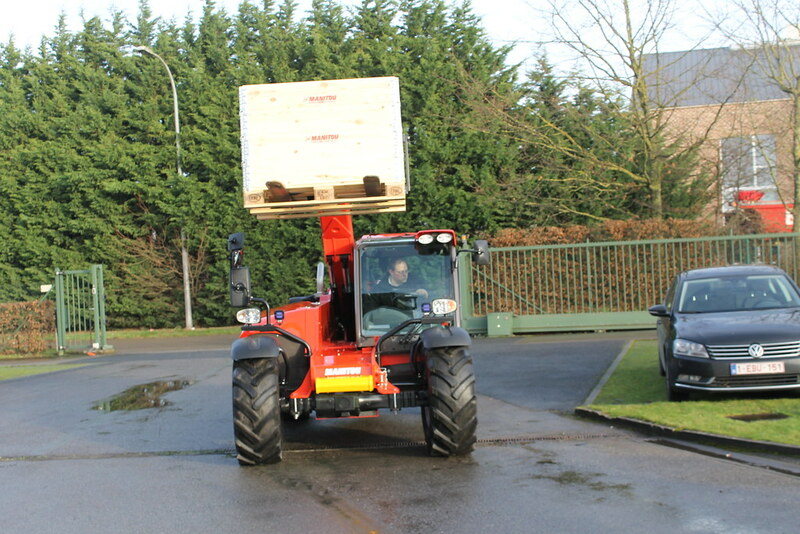 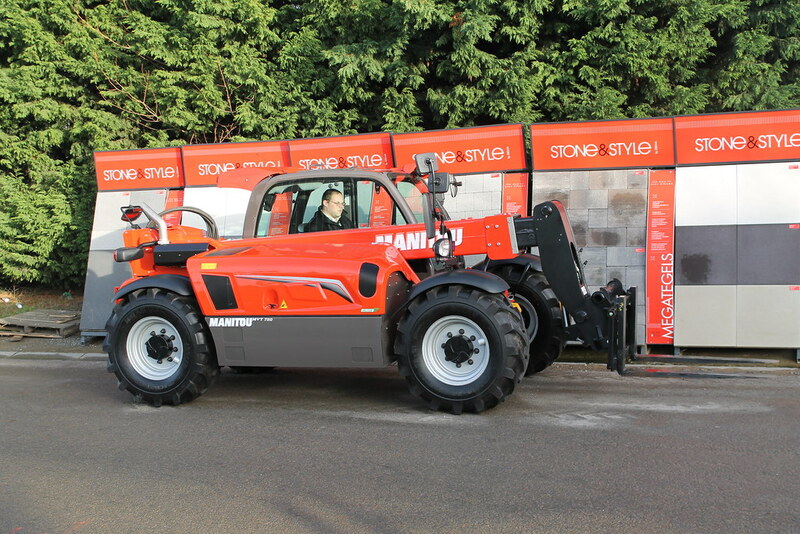 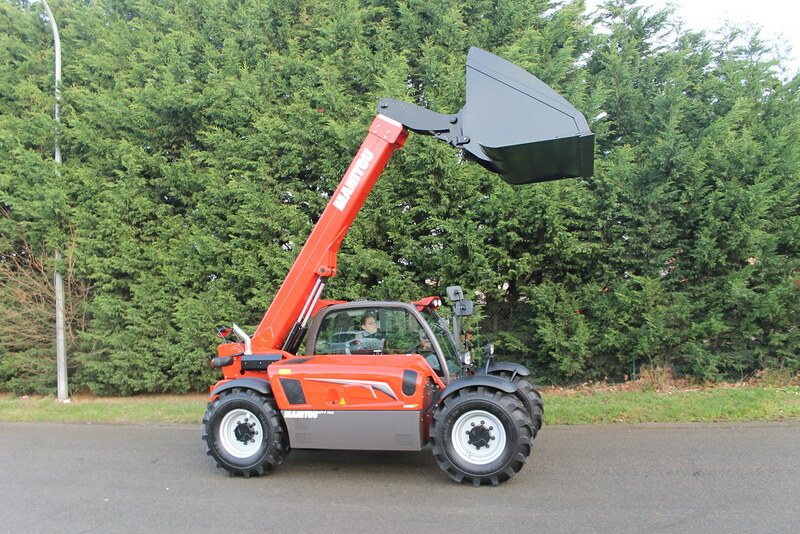 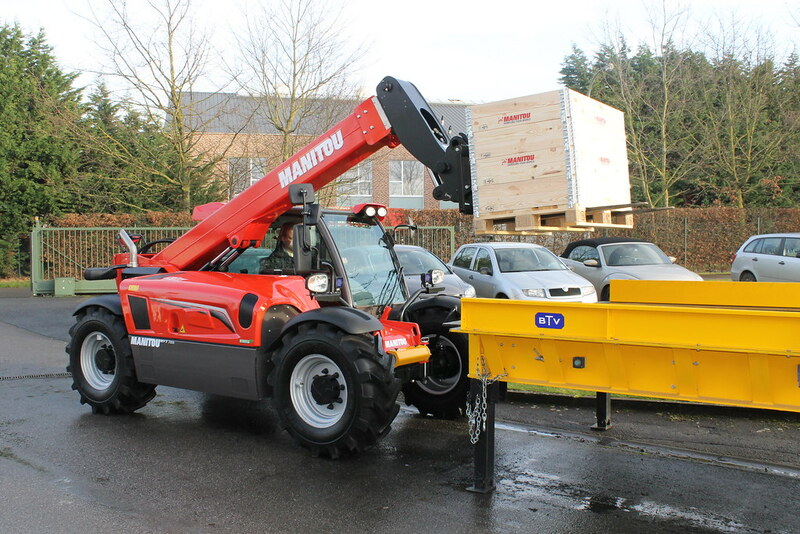 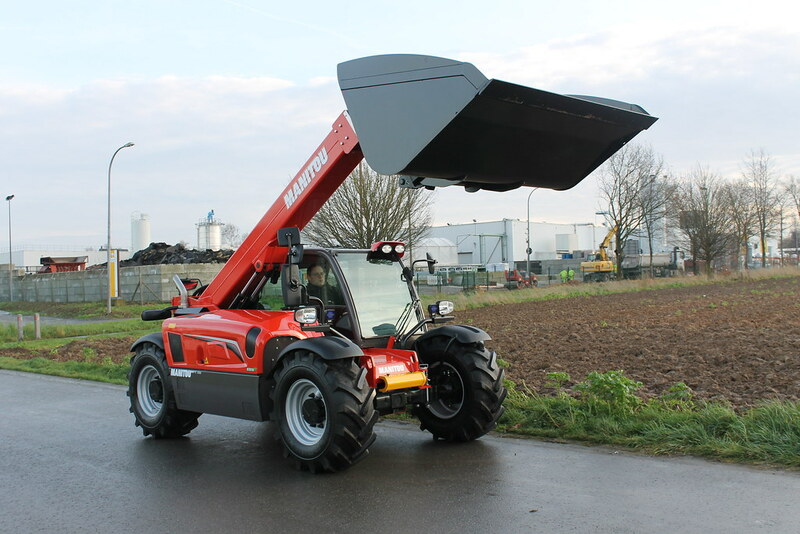 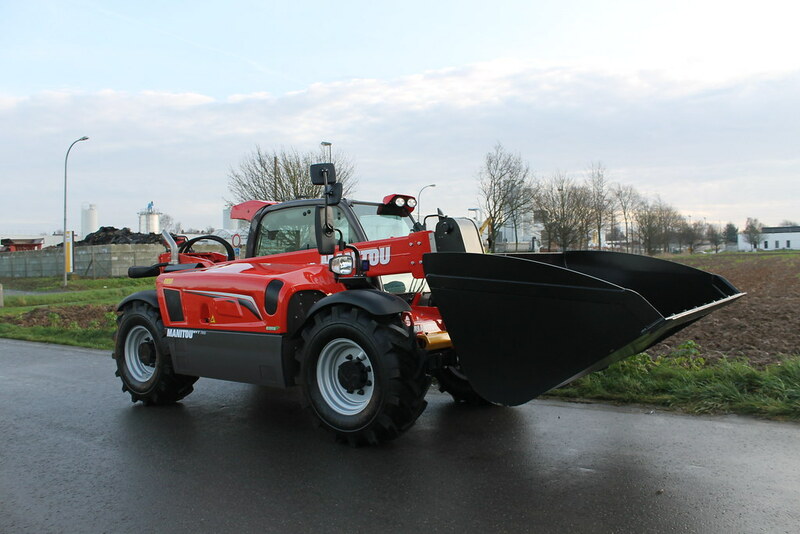 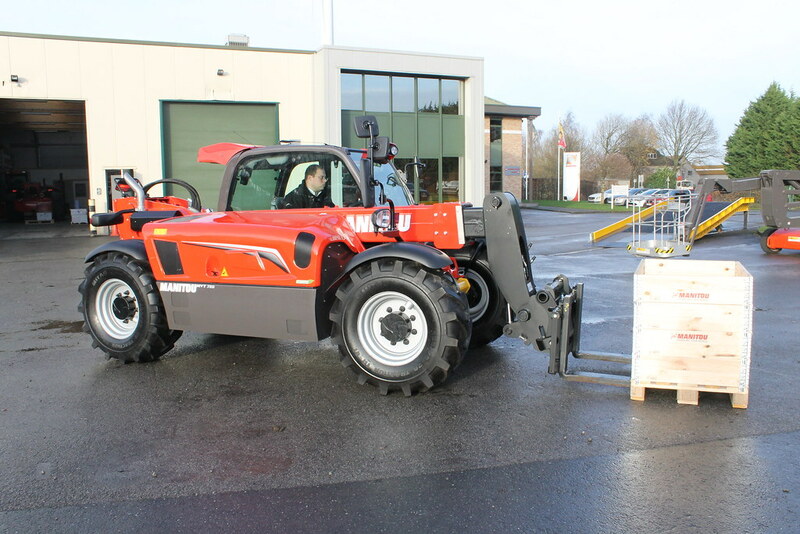 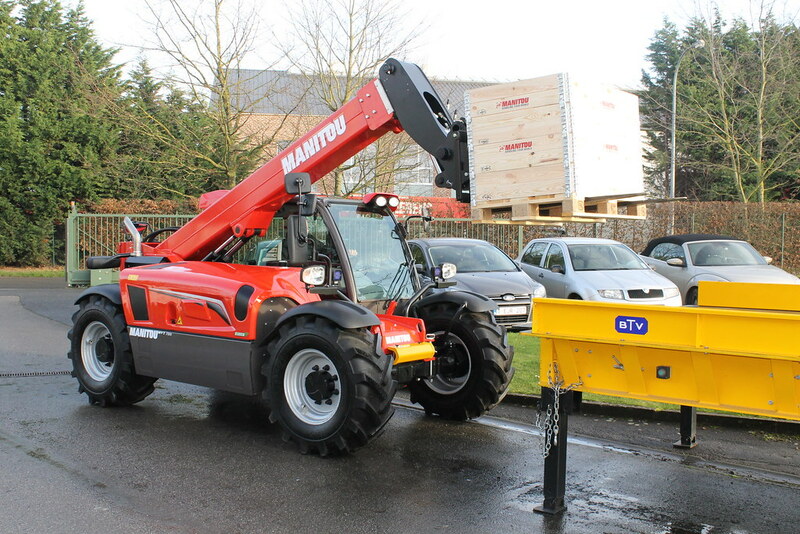 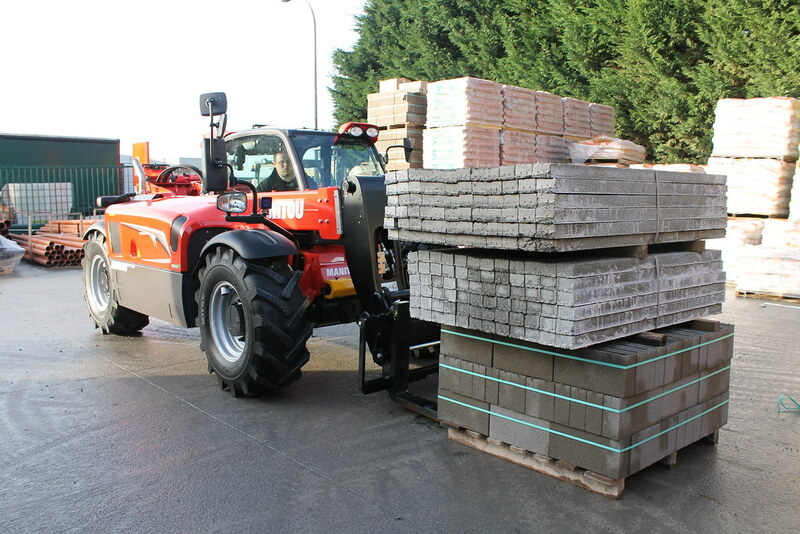 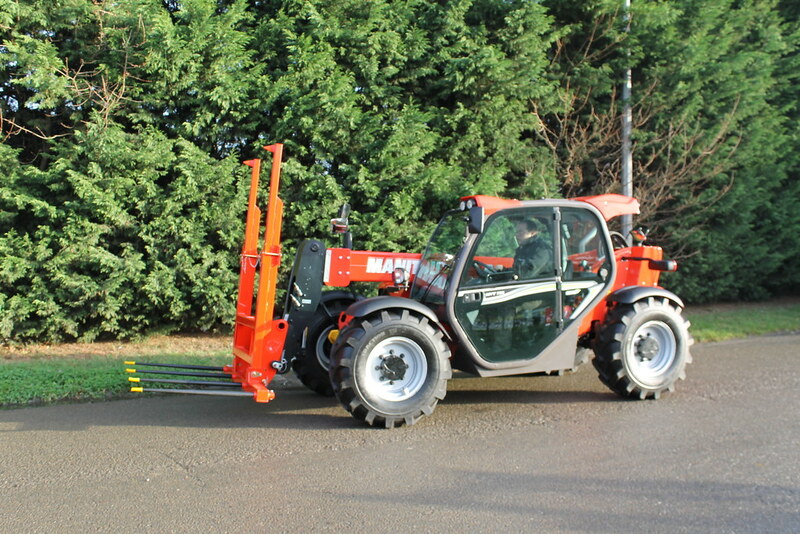 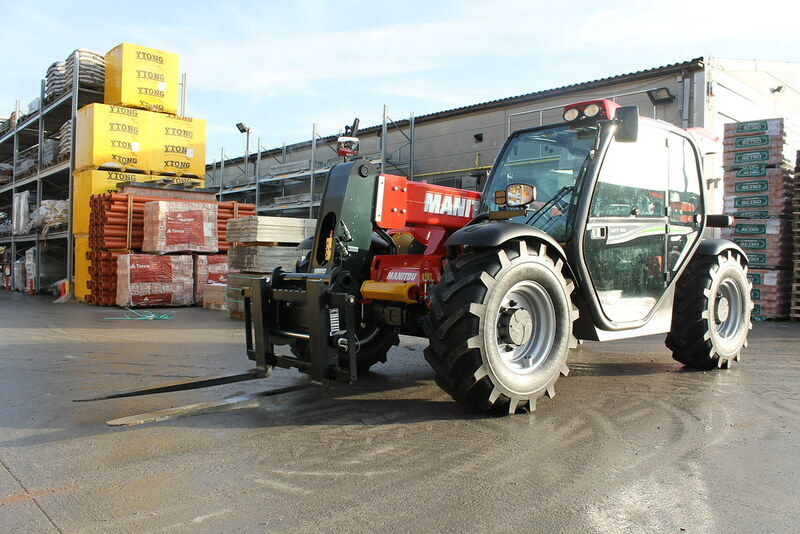 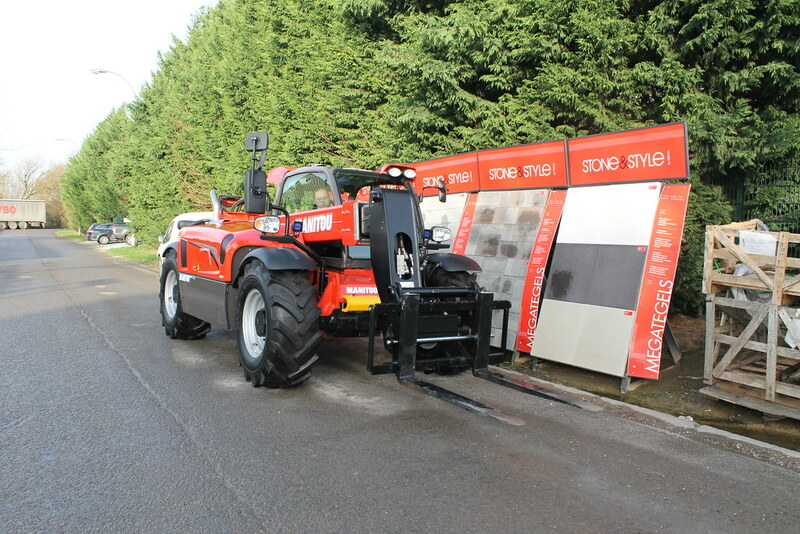 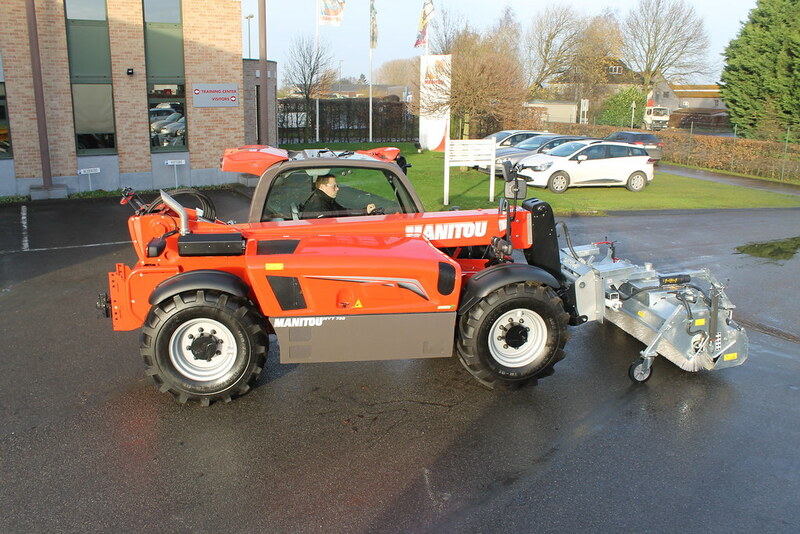 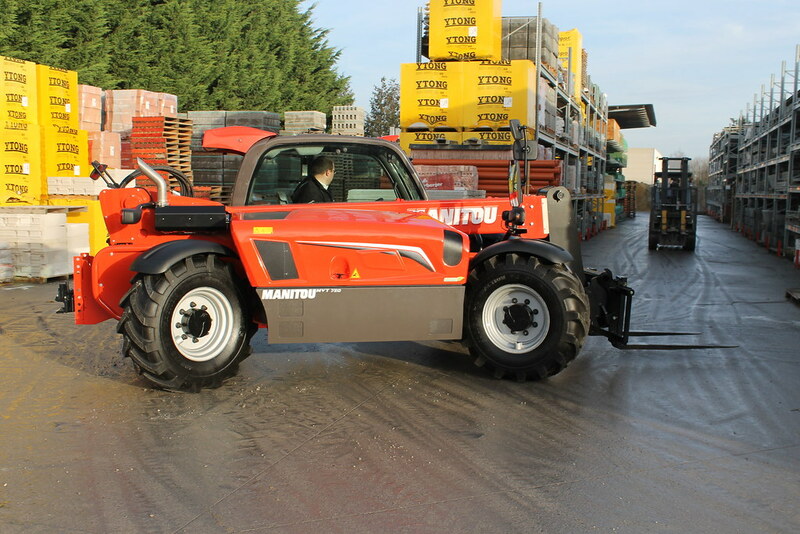 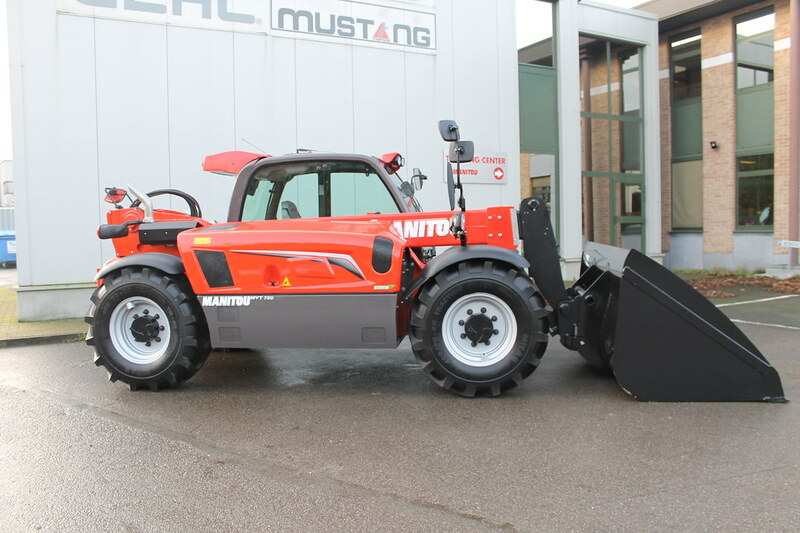 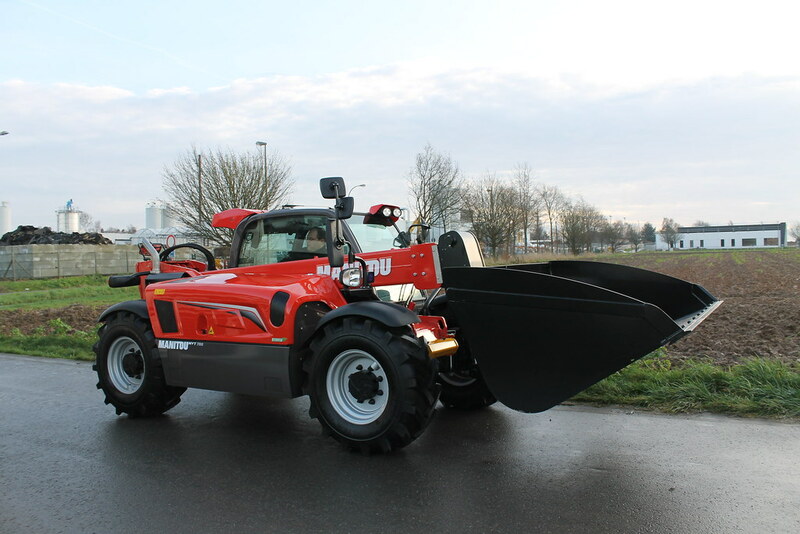 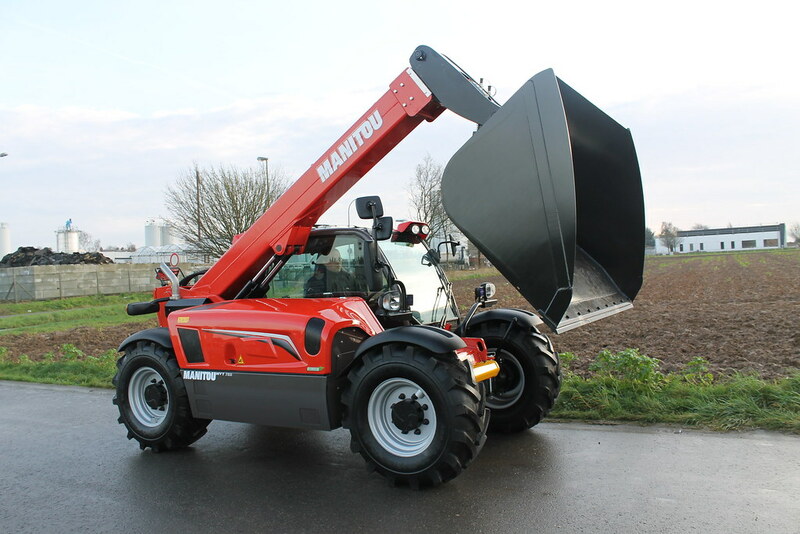 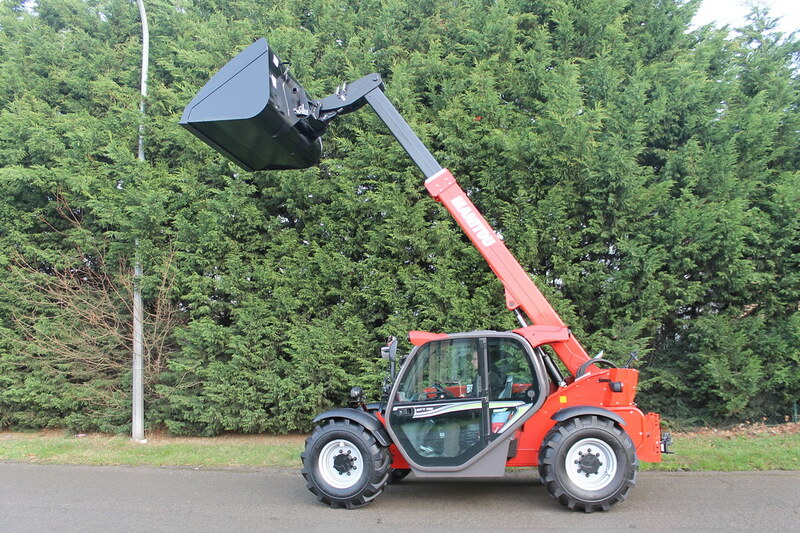 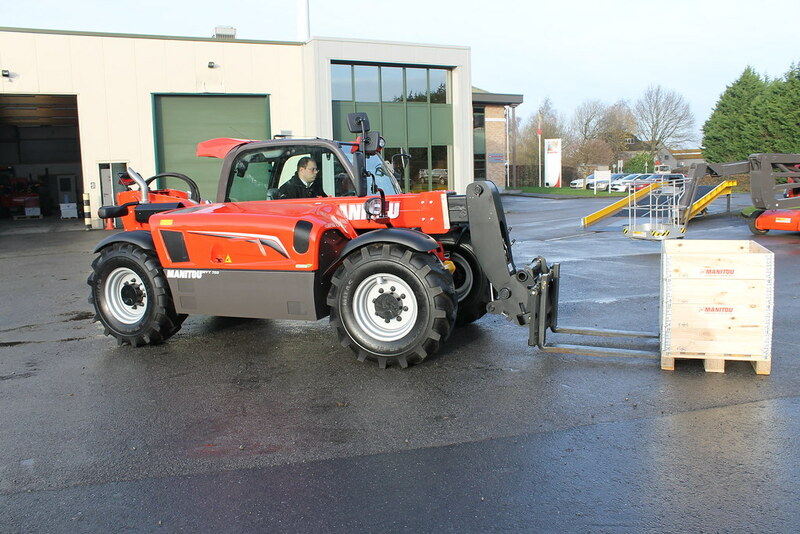 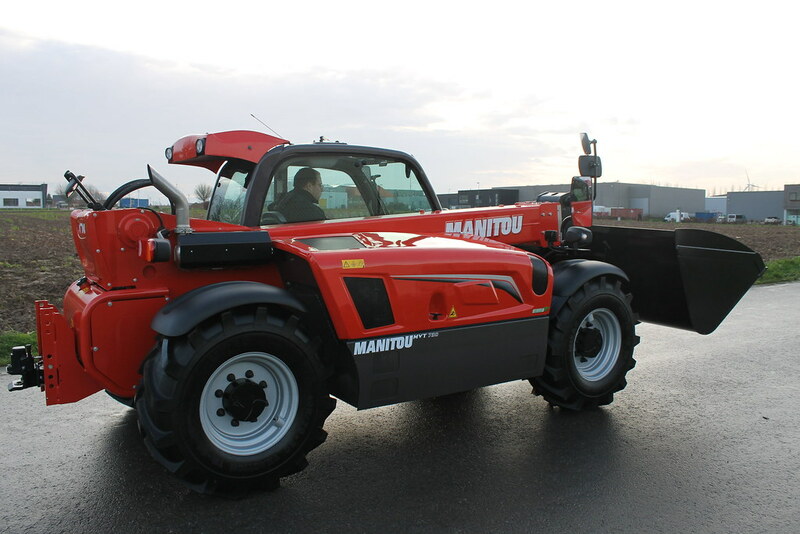 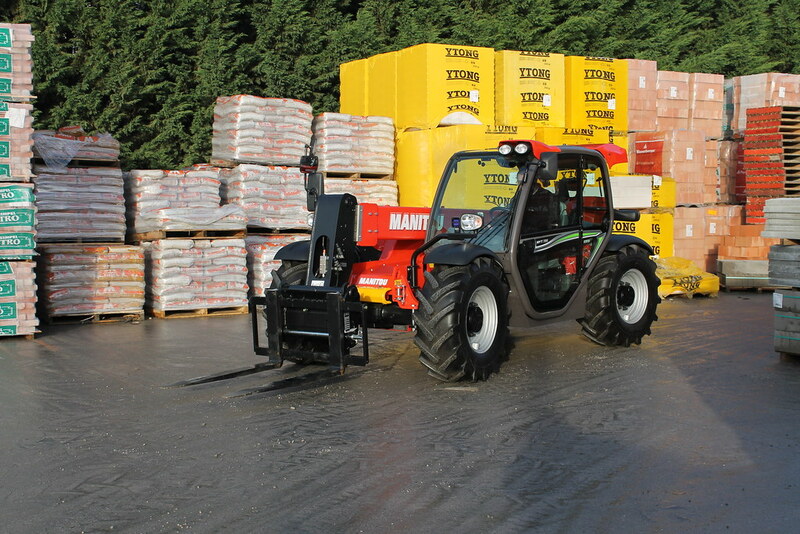 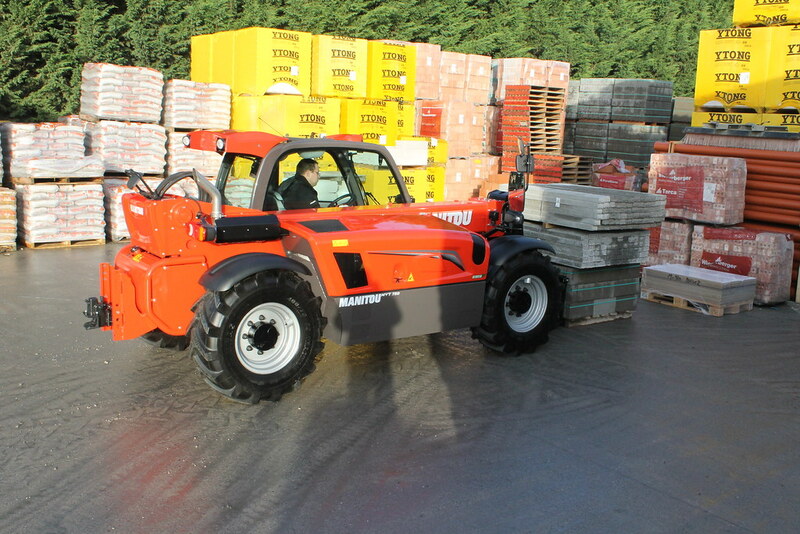 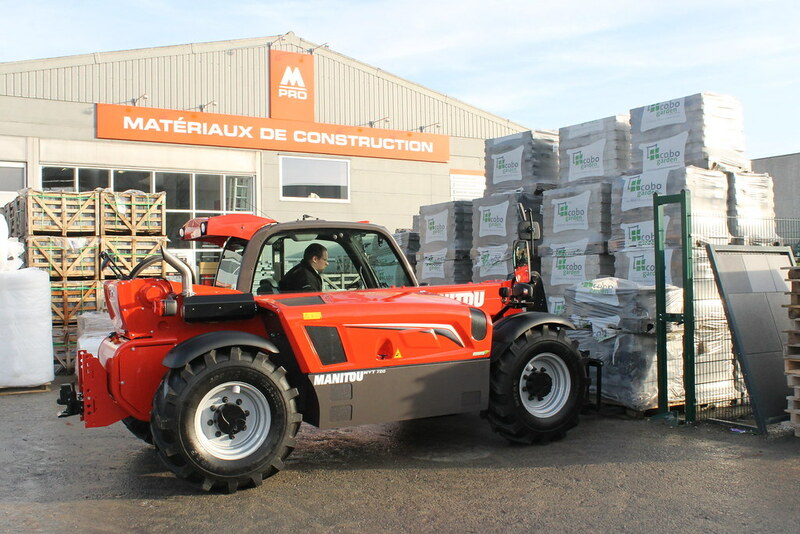 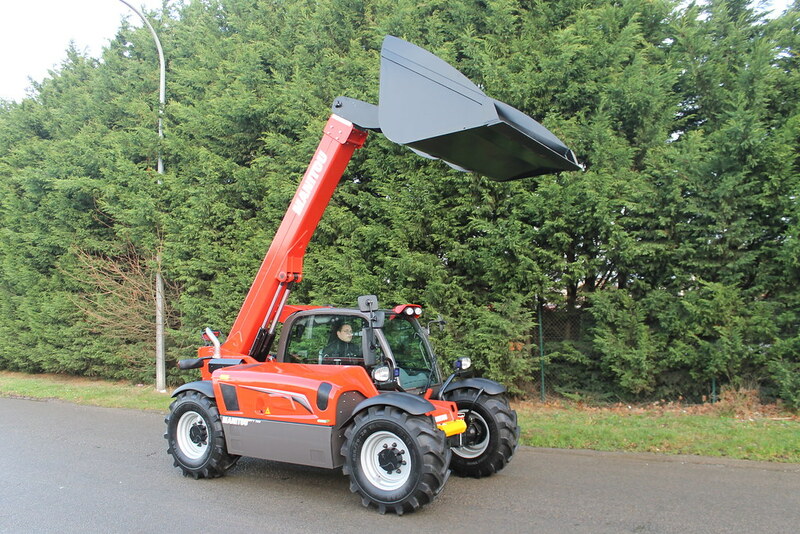 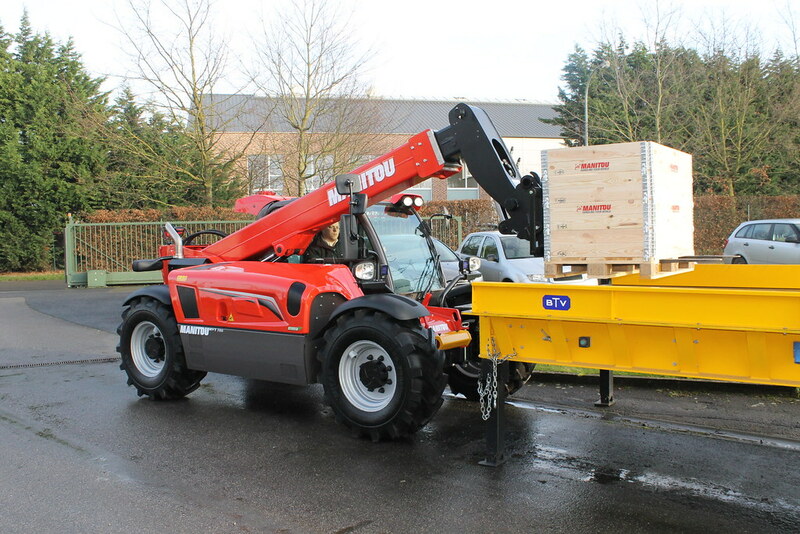 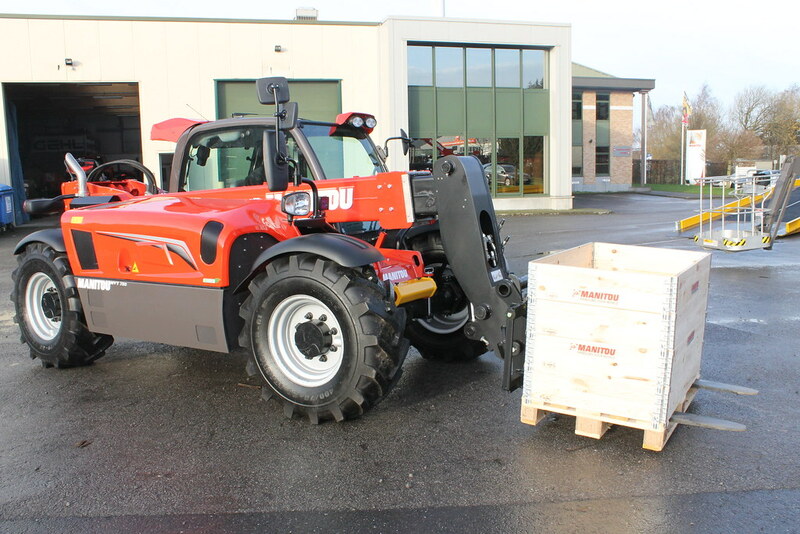 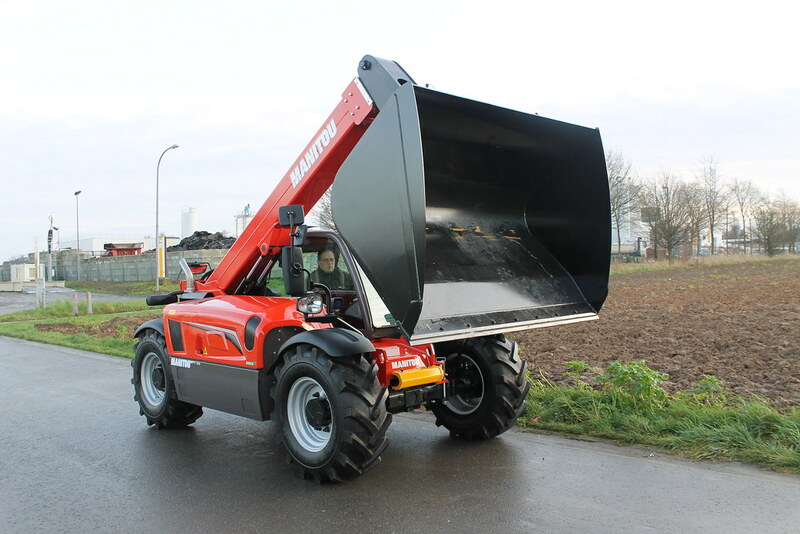 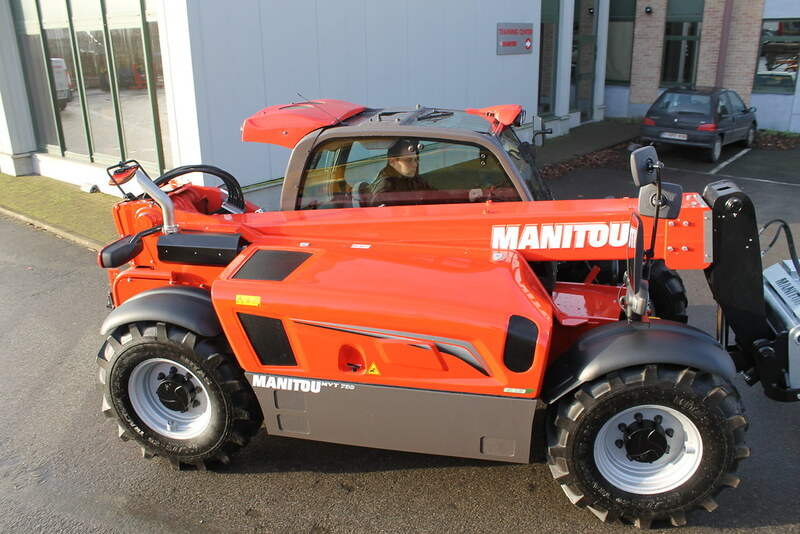 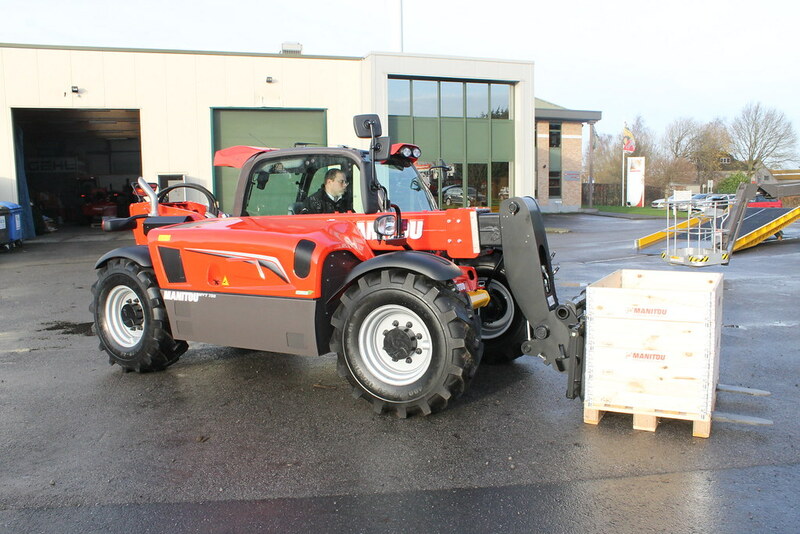 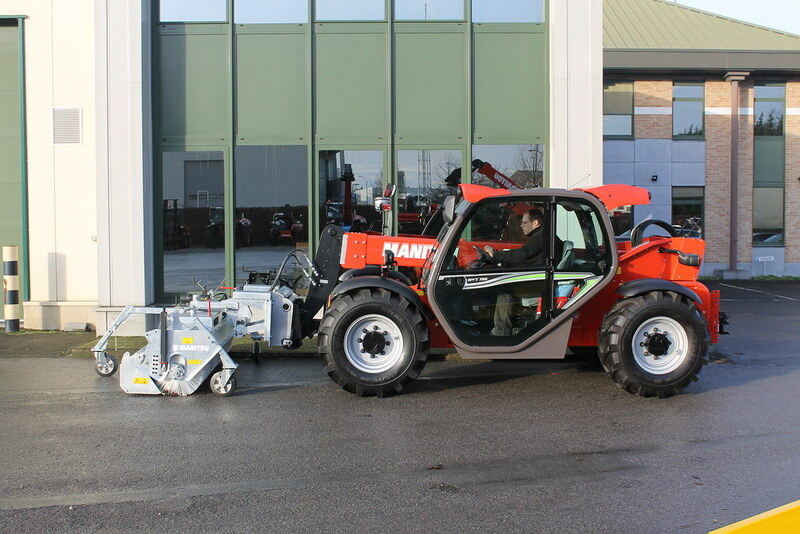 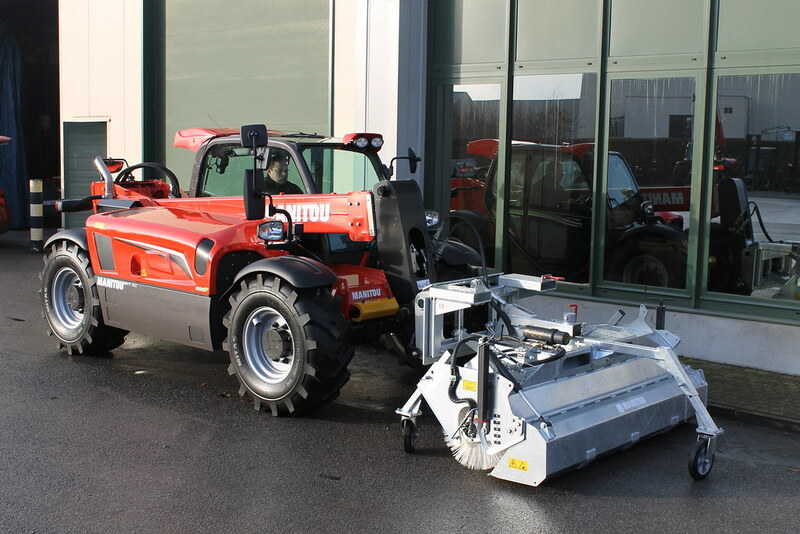 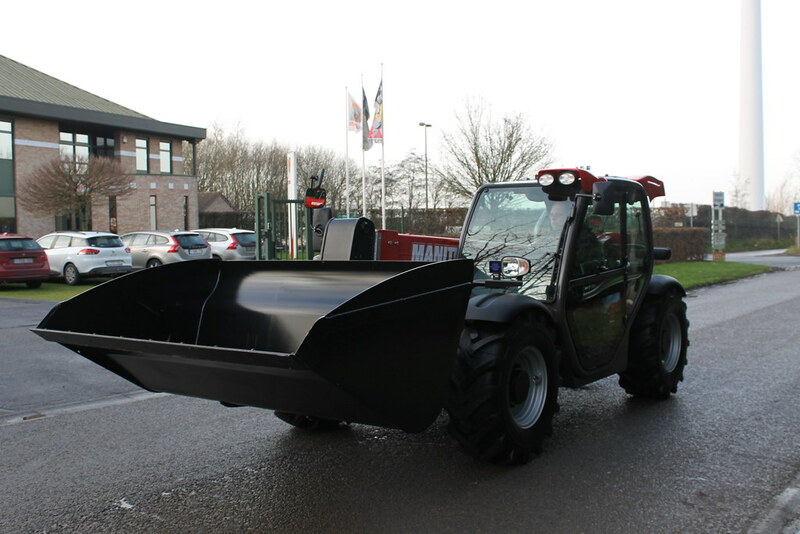 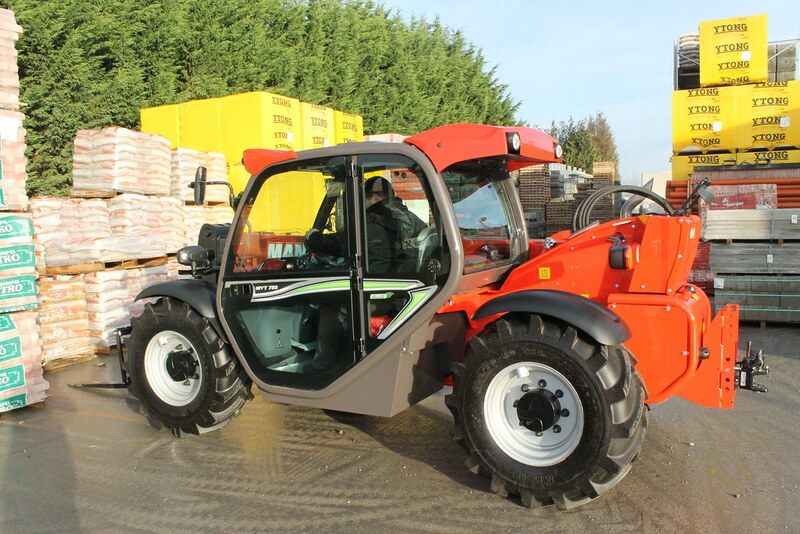 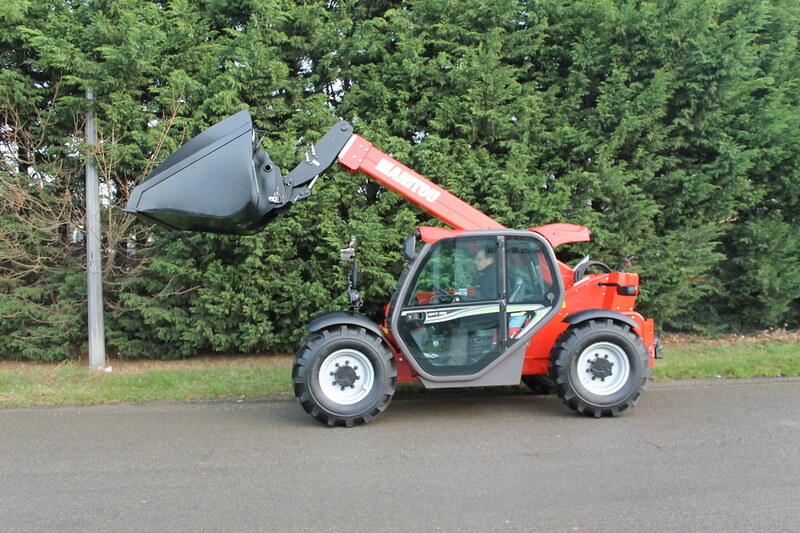 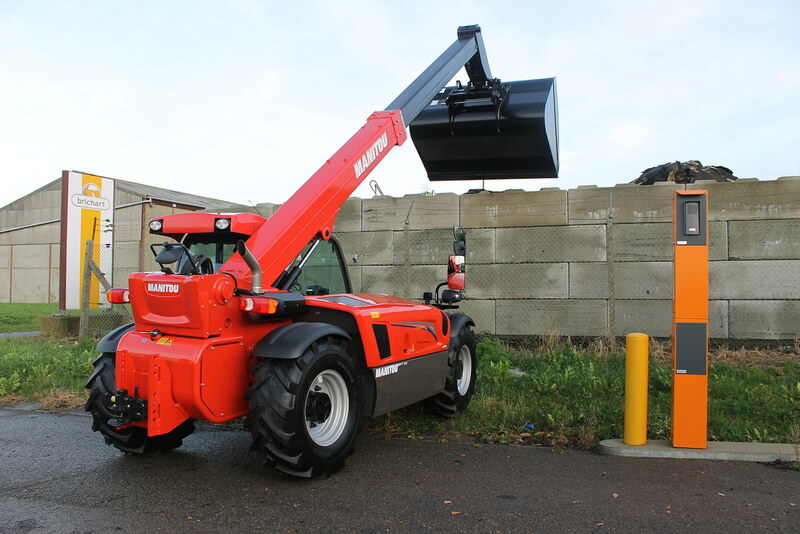 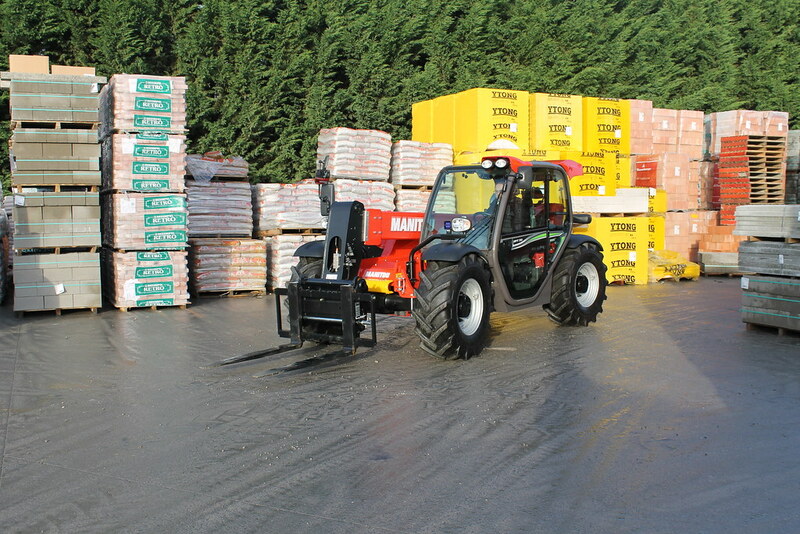 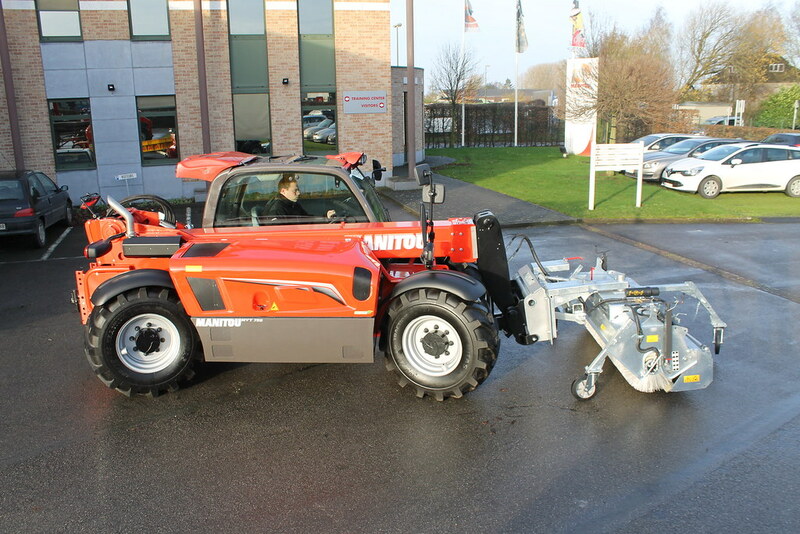 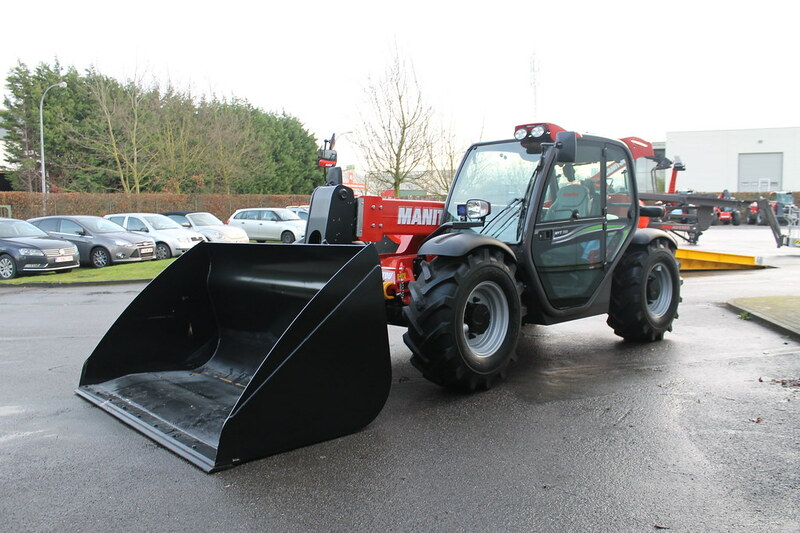 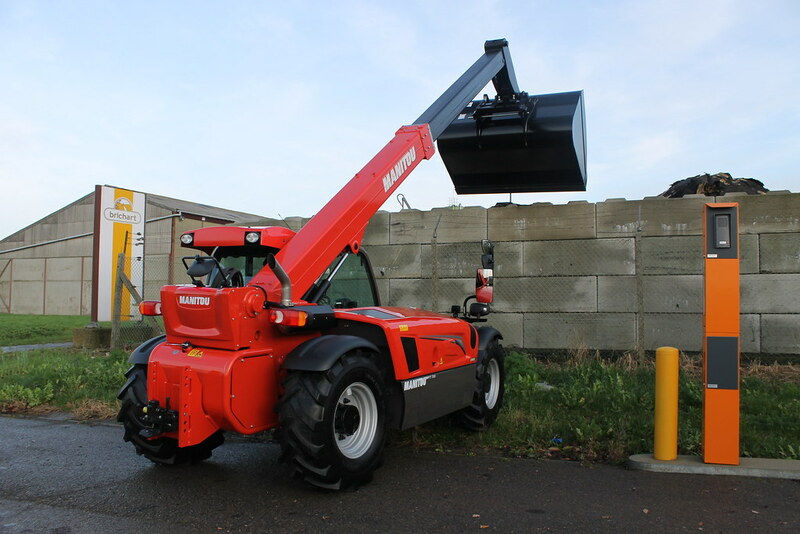 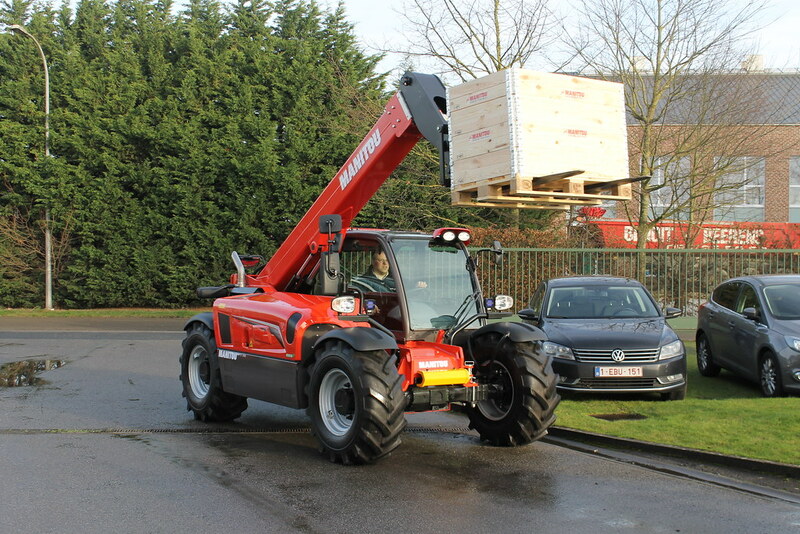 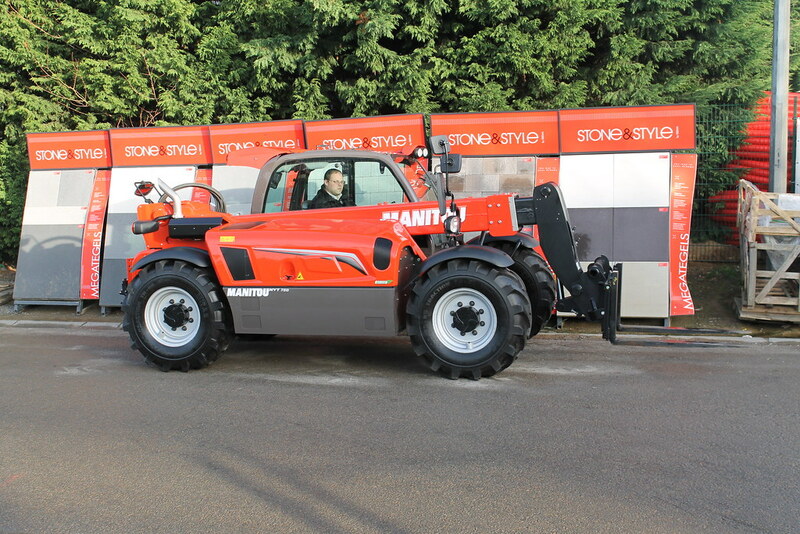 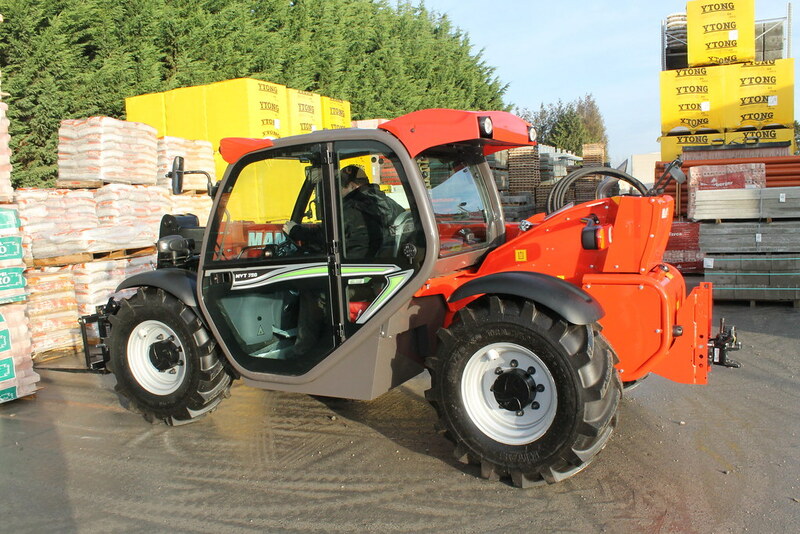 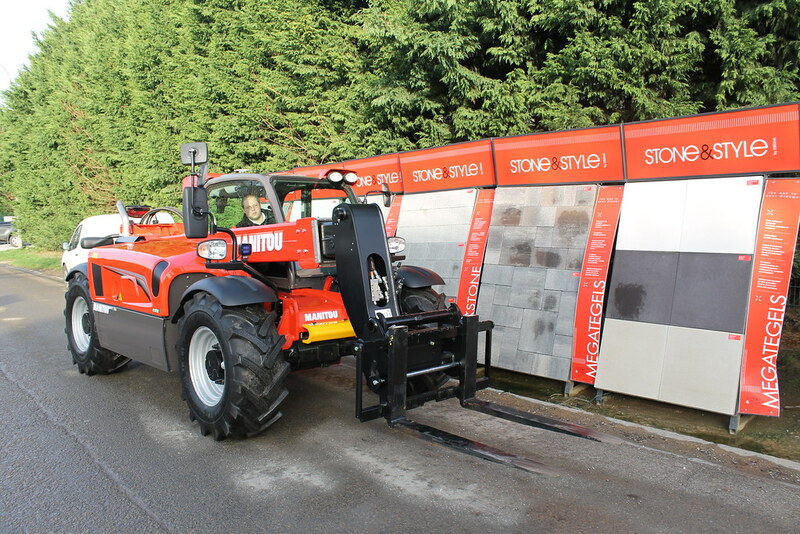 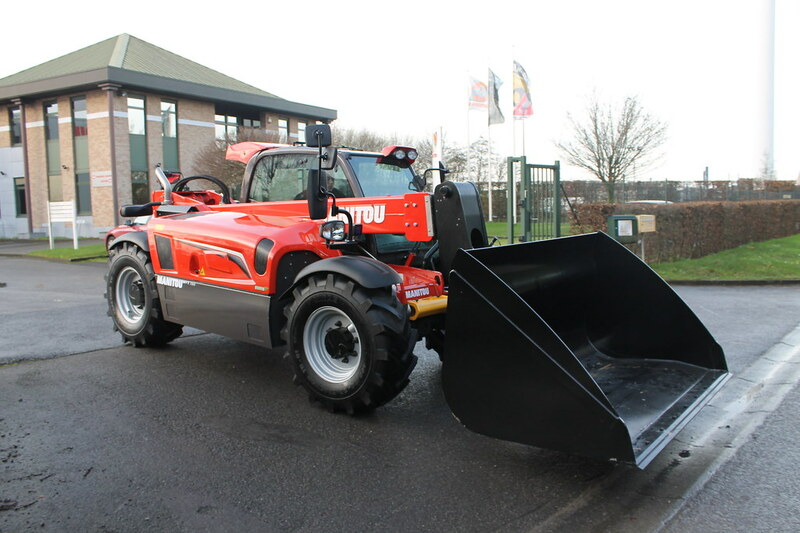 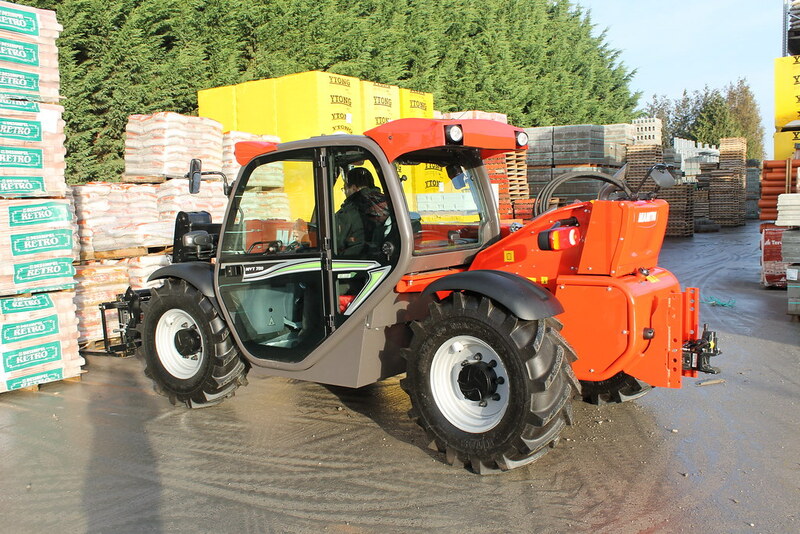 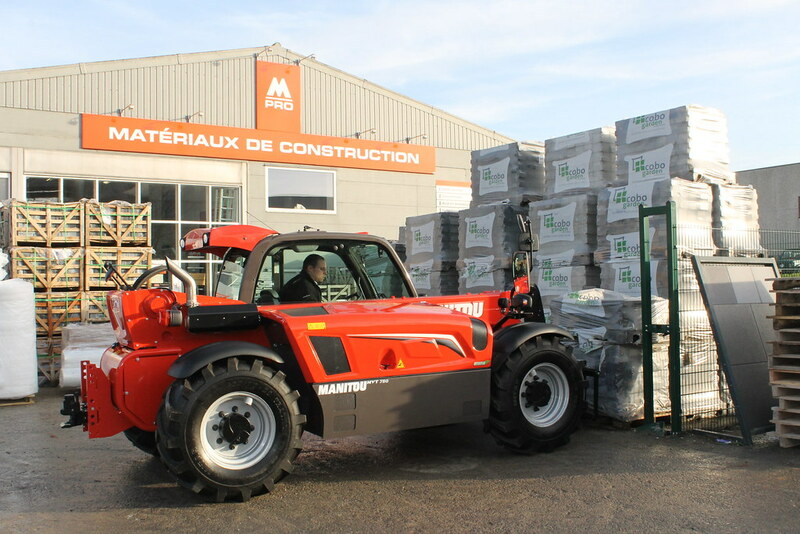 The MVT 929 telehandler is incredibly compact (with a width of 2.11 m and height of 1.99 m) whilst remaining powerful enough to handle agricultural and industrial applications. 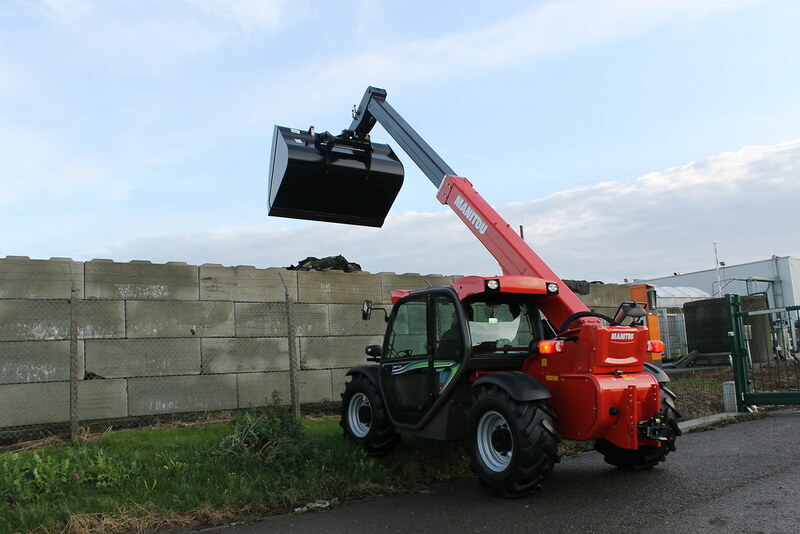 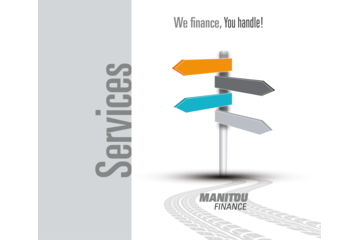 The compact frame, lift height of 9 m and a maximum capacity of 2900 kg gives you amazing versatility whilst maintaining a reduced footprint. 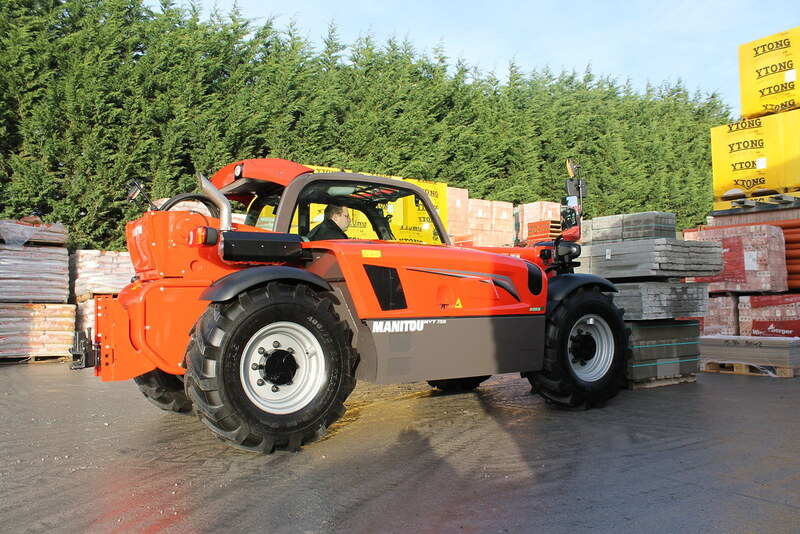 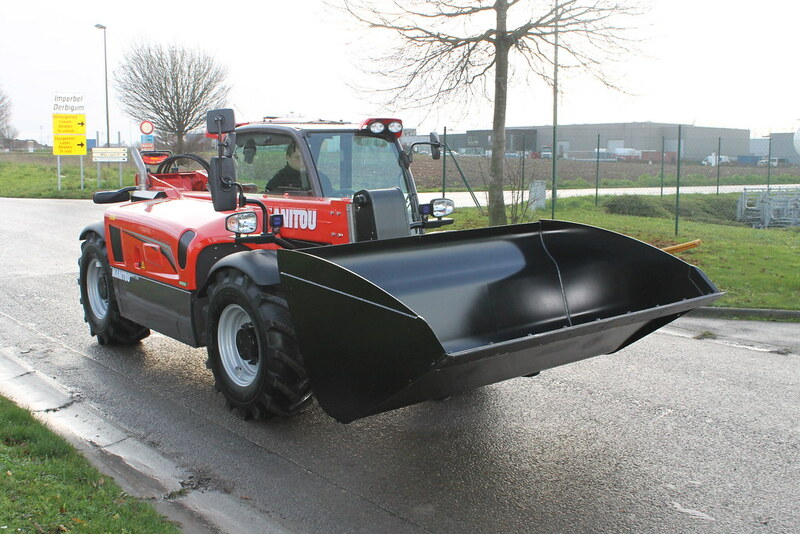 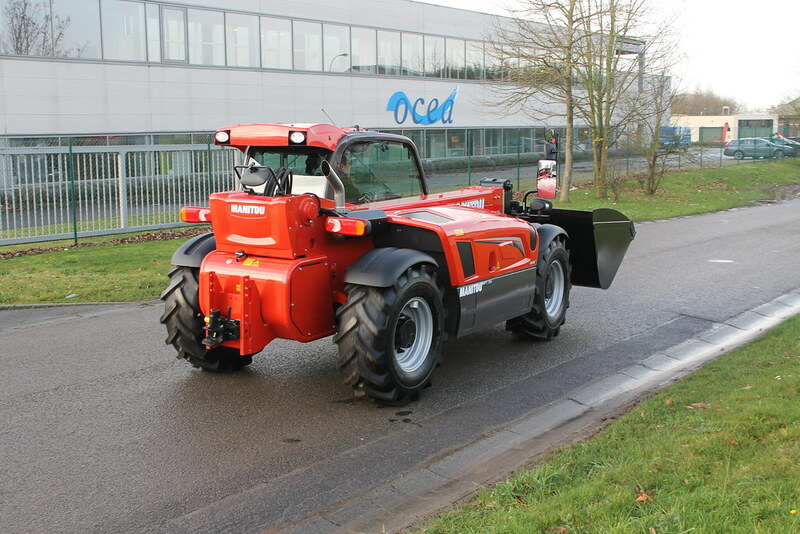 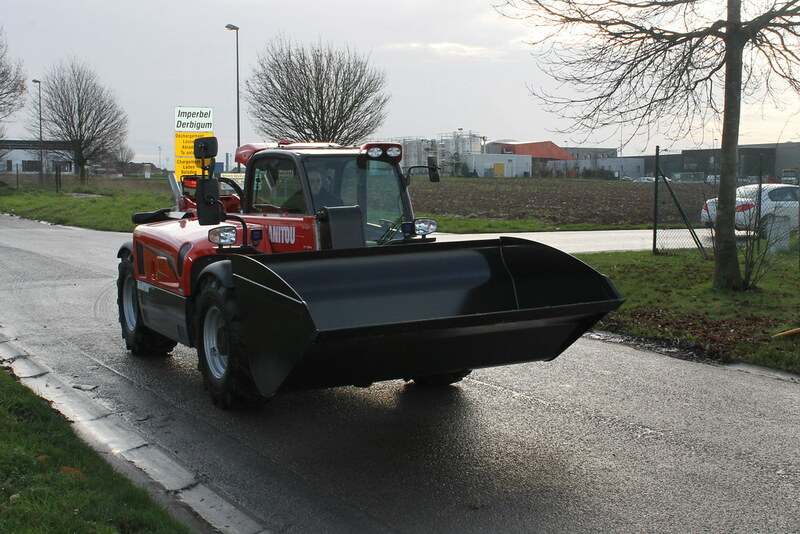 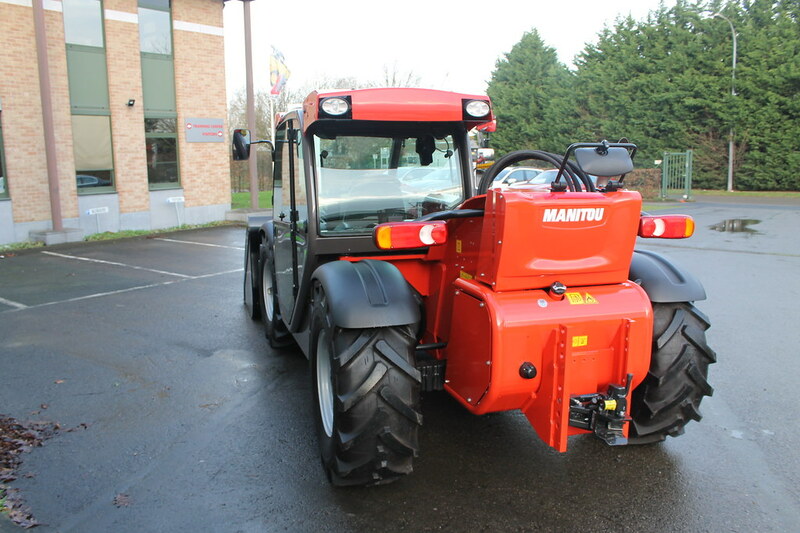 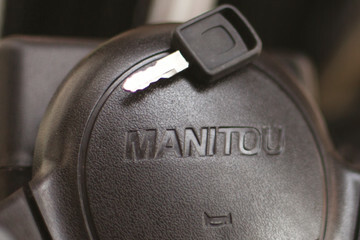 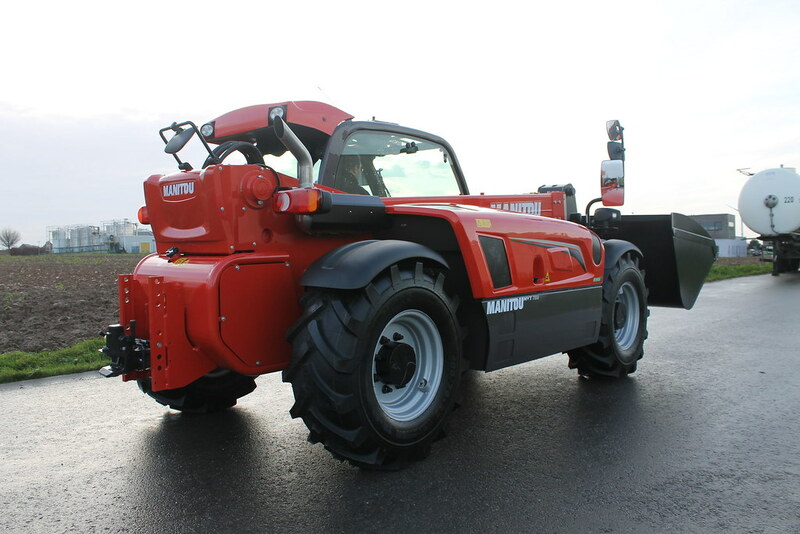 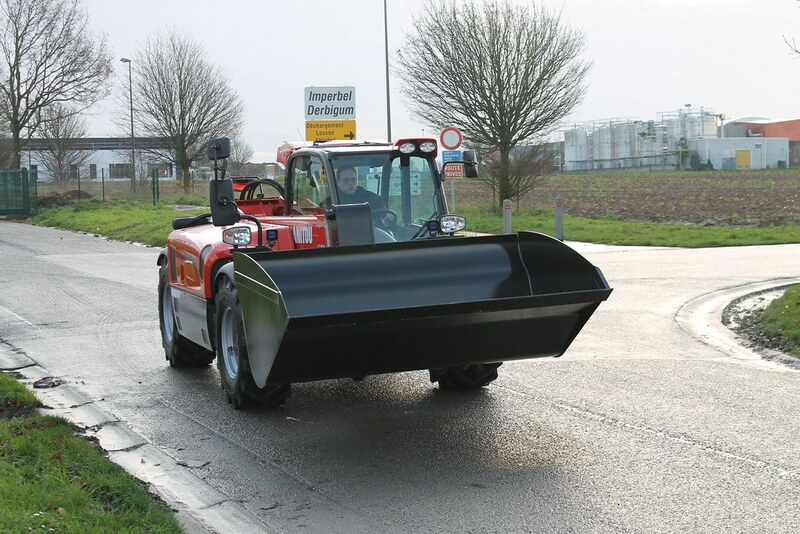 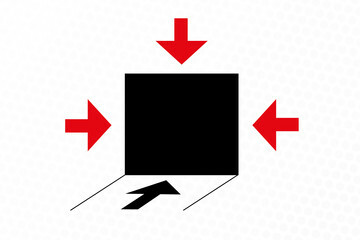 The Varioshift transmission gives you smoothness and precision whilst the easily accessible low driver's cab, JSM system and optimal visibility provide comfort and safety. 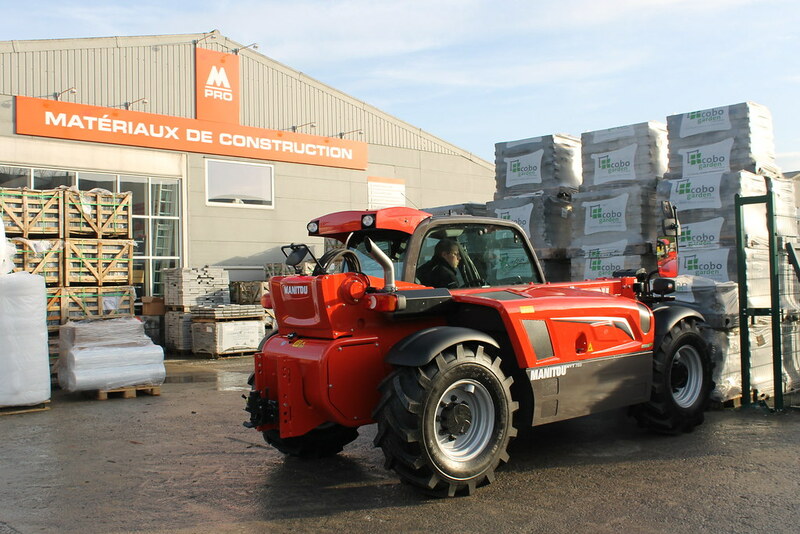 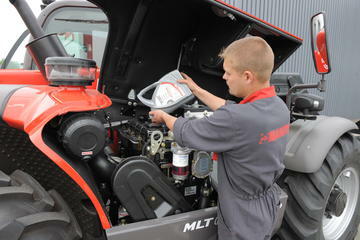 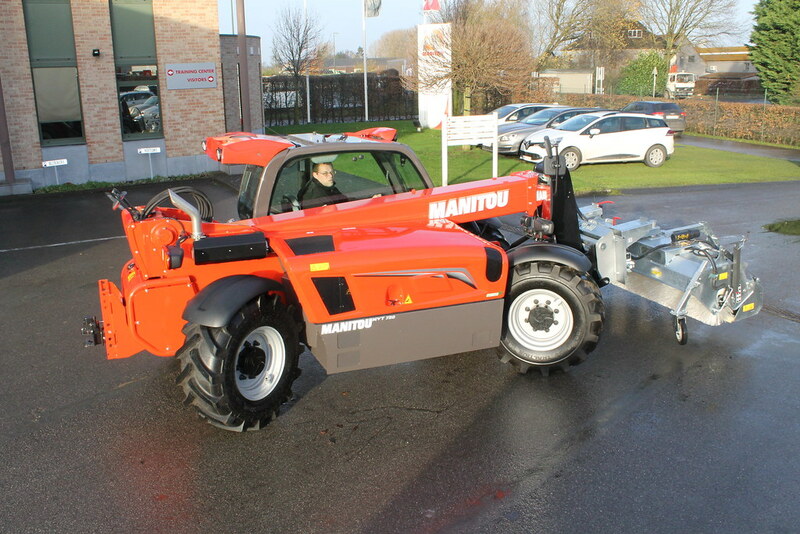 It's also Farm Tractor certified in France. 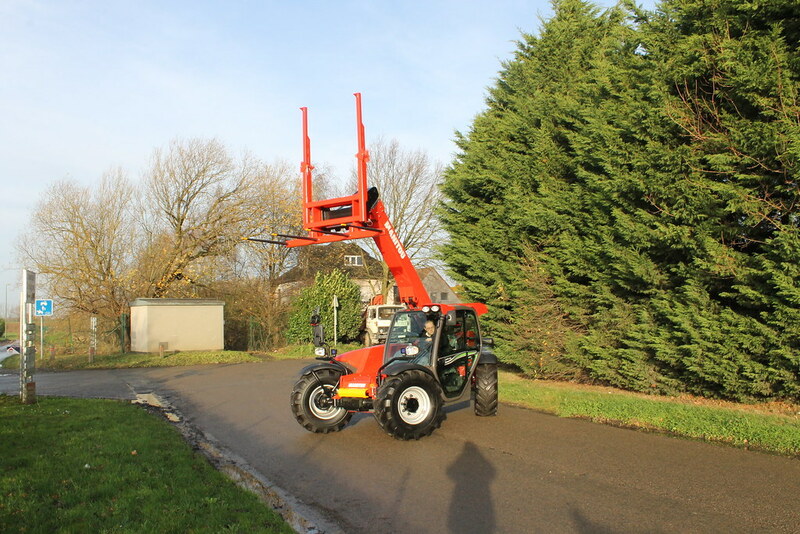 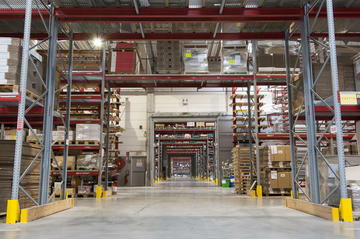 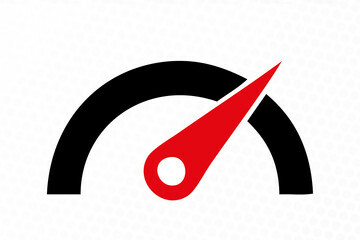 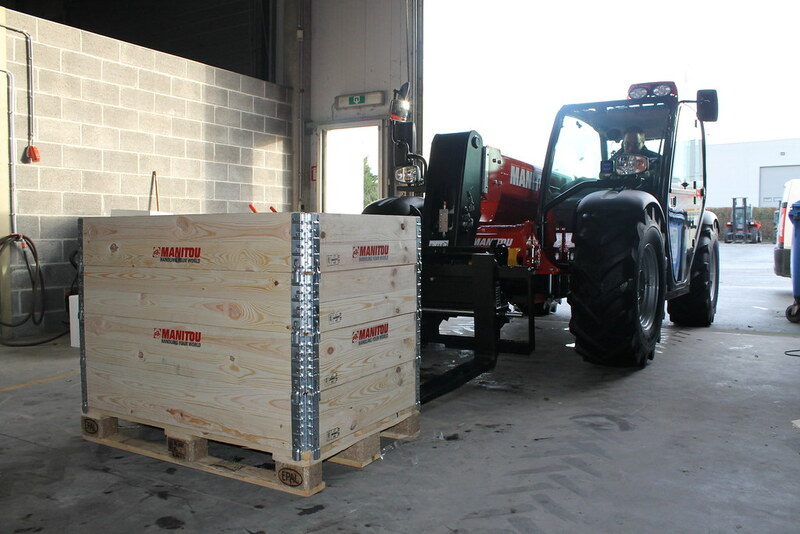 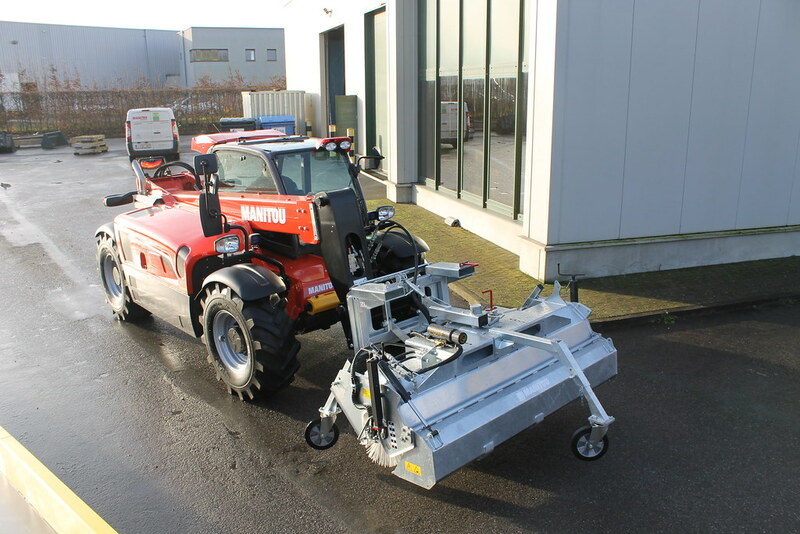 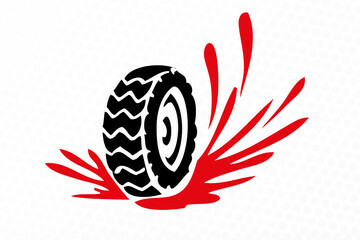 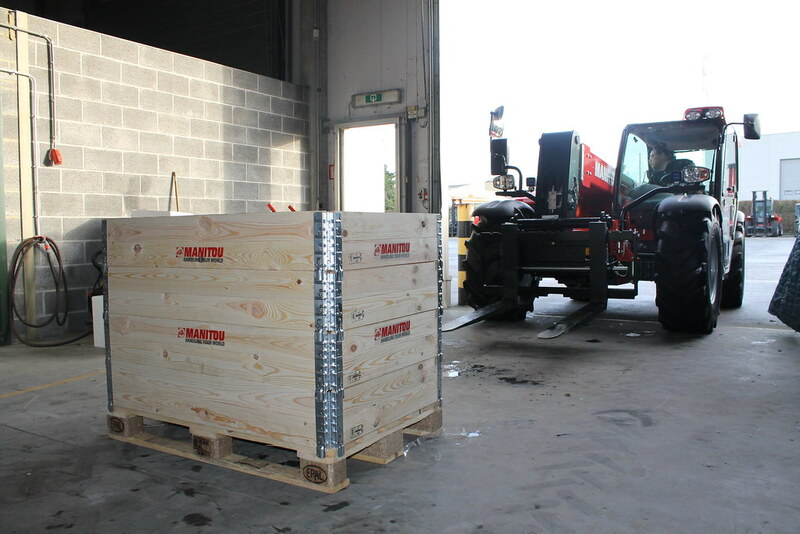 Lifting height 8.63 m 28'4"
Length (up to the back of the fork) 4.62 m 15'2"
Turning radius 4.6 m 15'1"
Ground clearance 0.38 m 1'3"